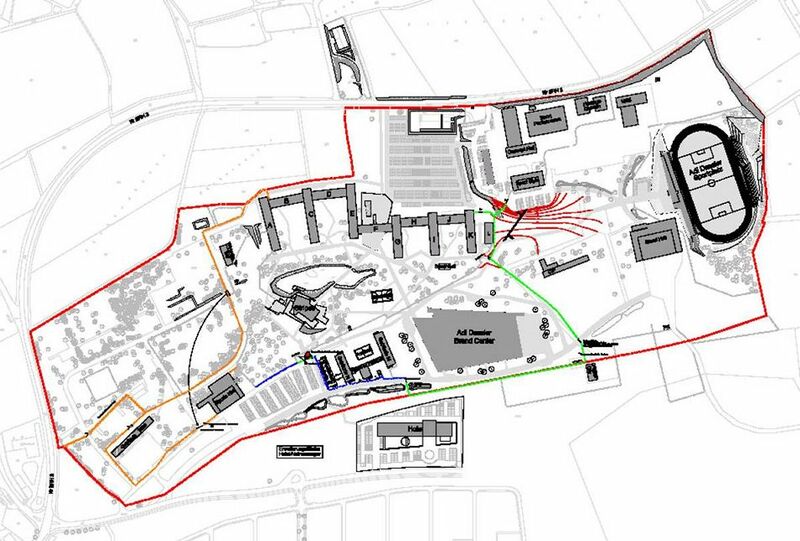 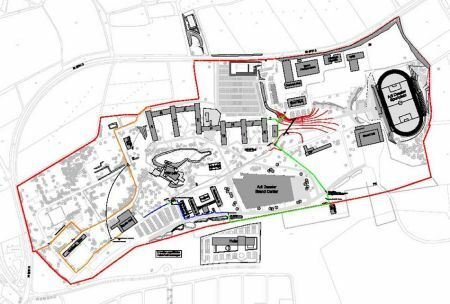 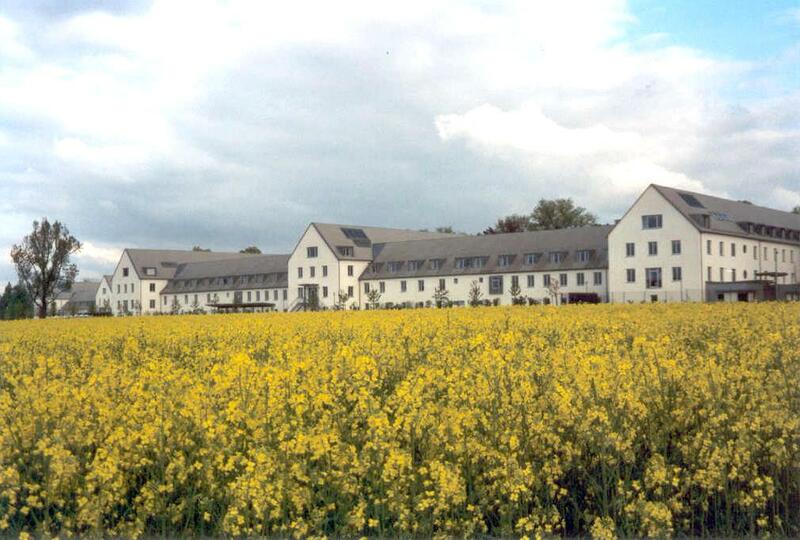 Herzo II and III will be apartments for 1700 people, built on the former golf course. 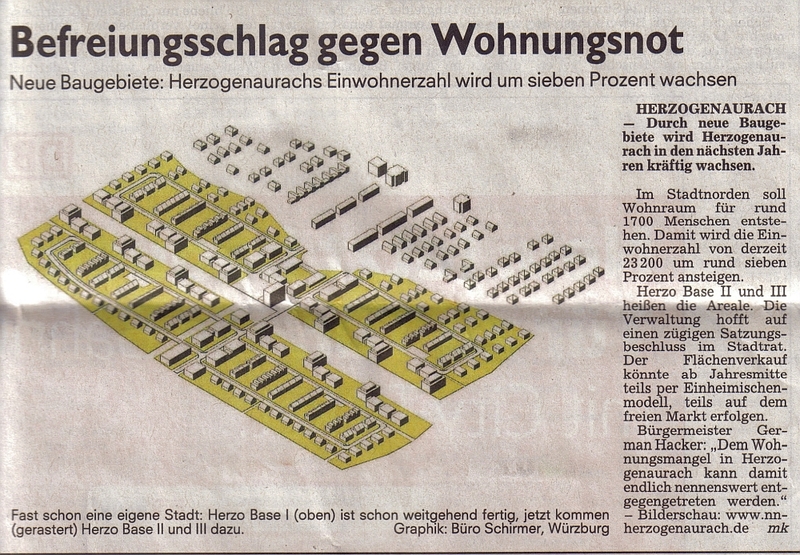 (Fürther Nachrichten from 10 January 2013). 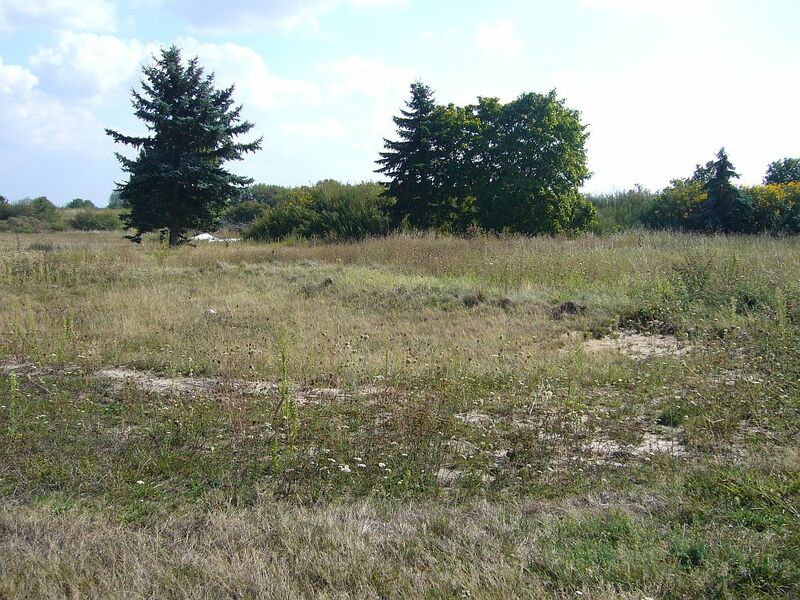 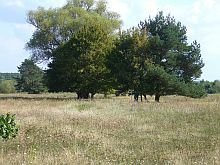 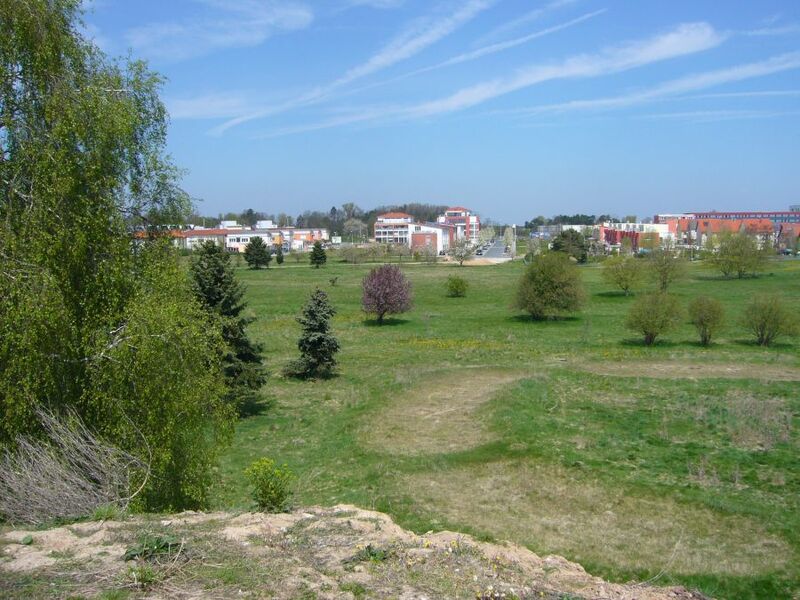 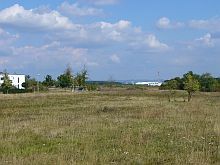 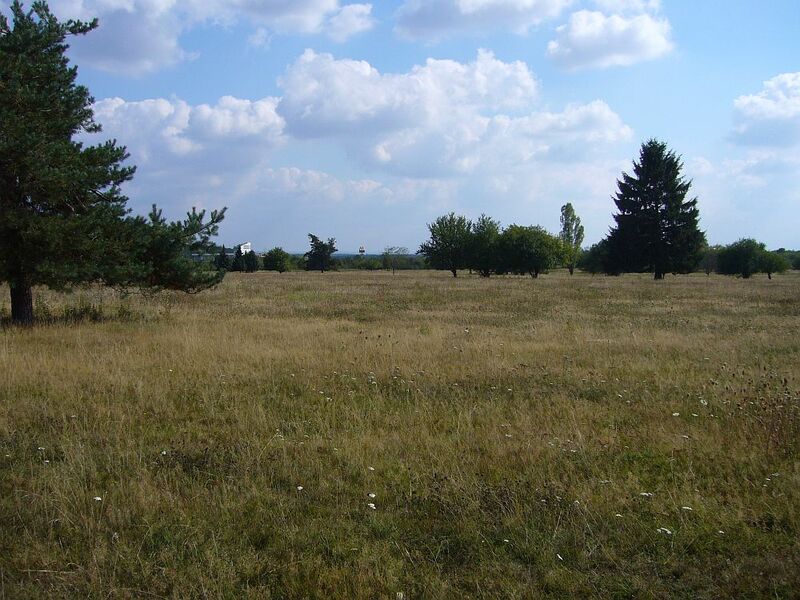 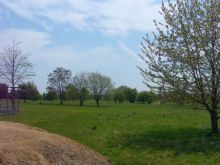 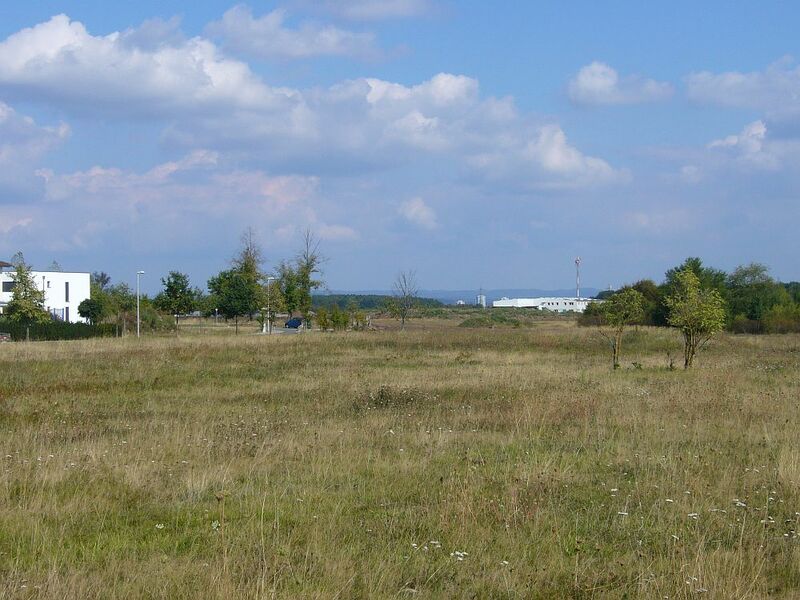 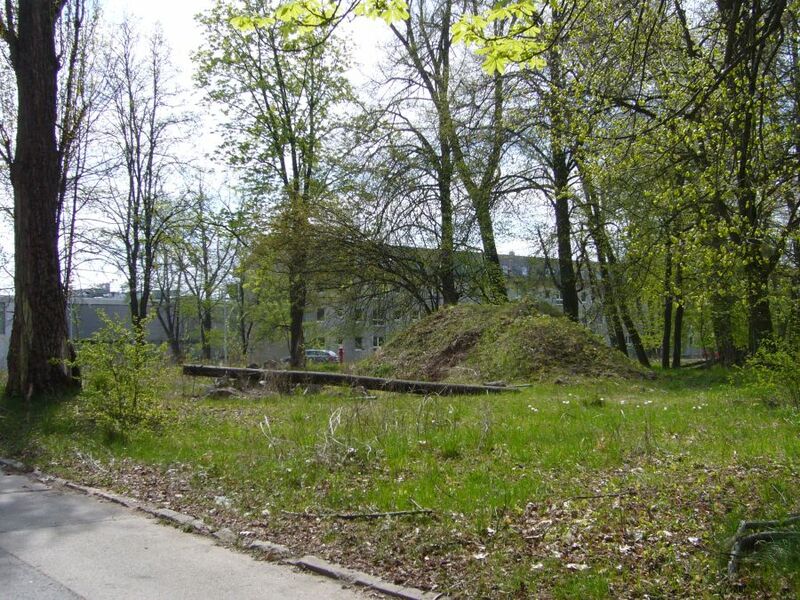 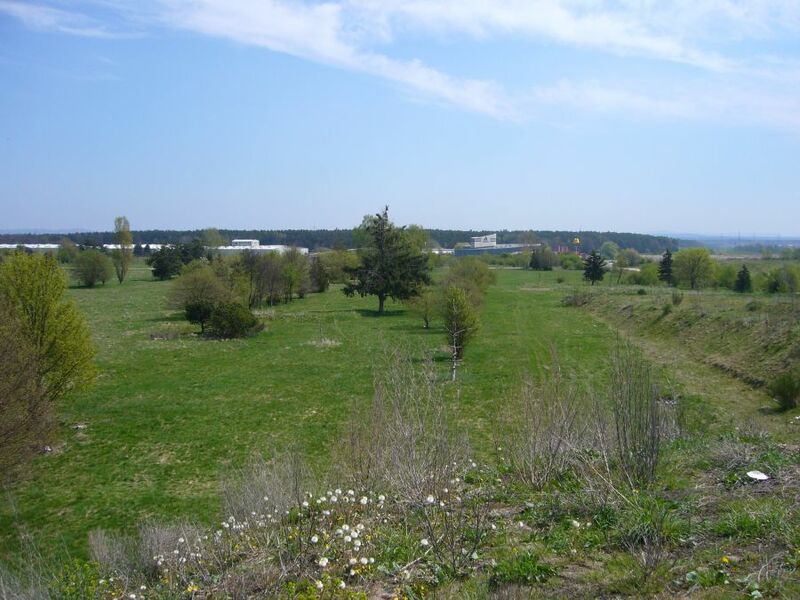 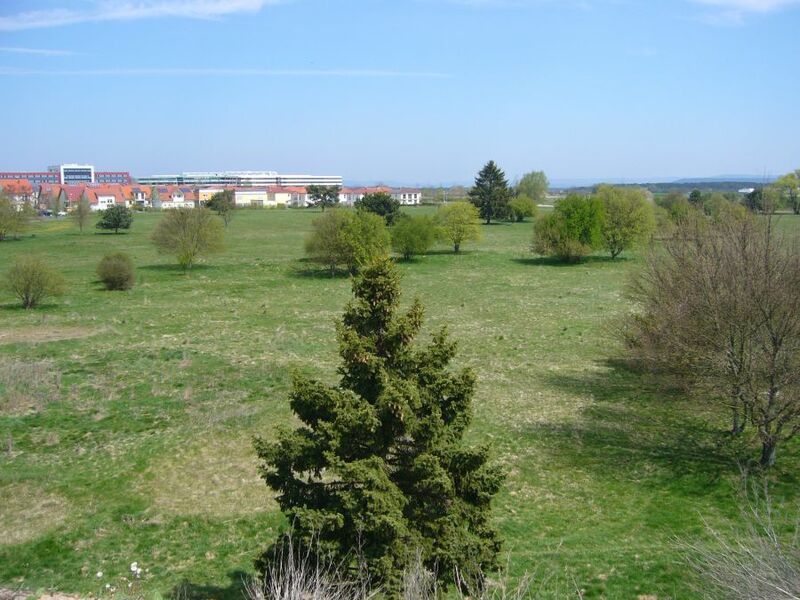 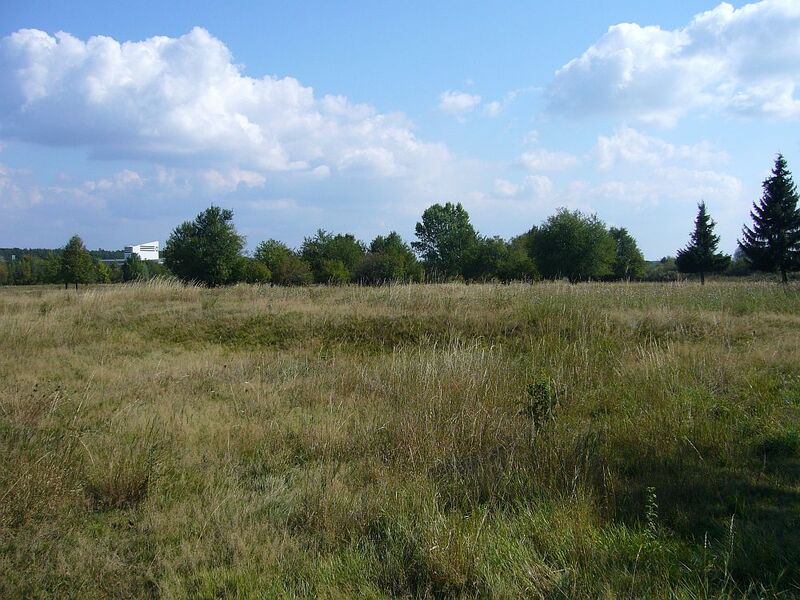 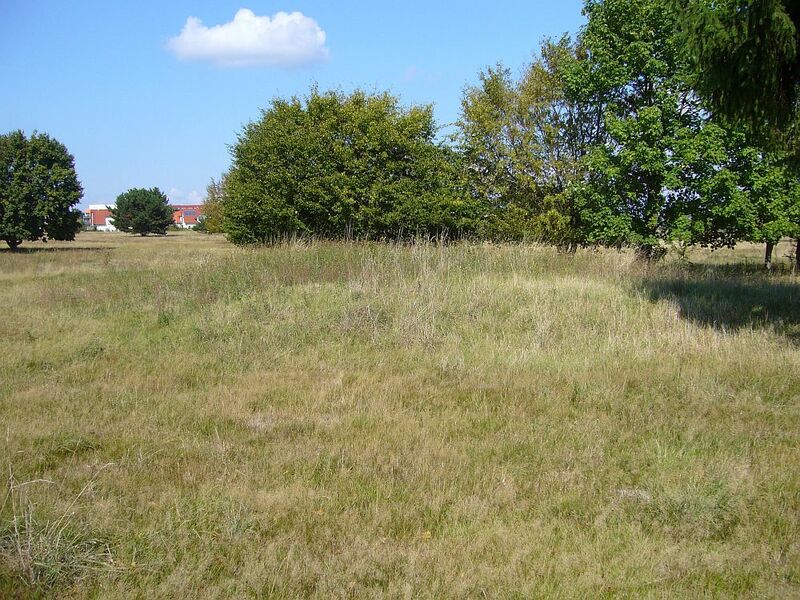 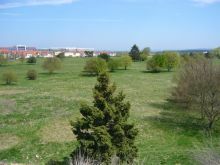 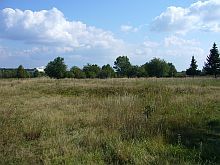 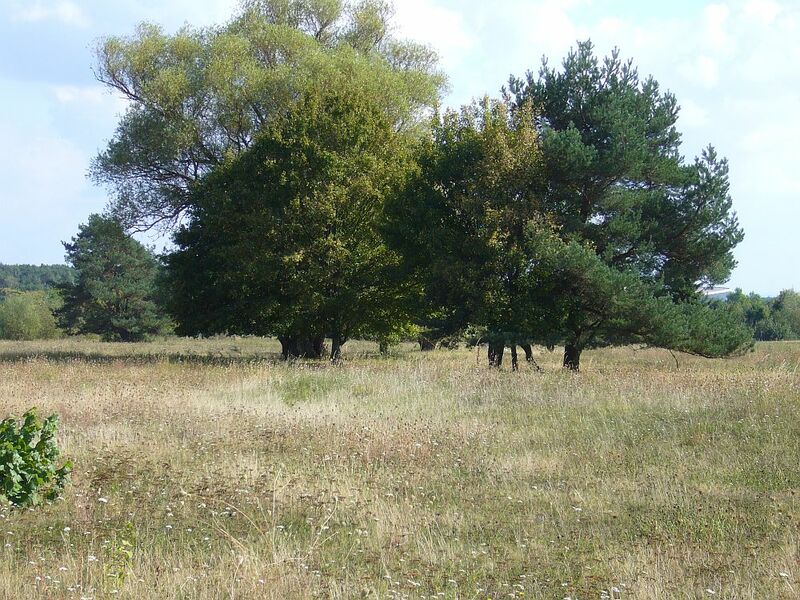 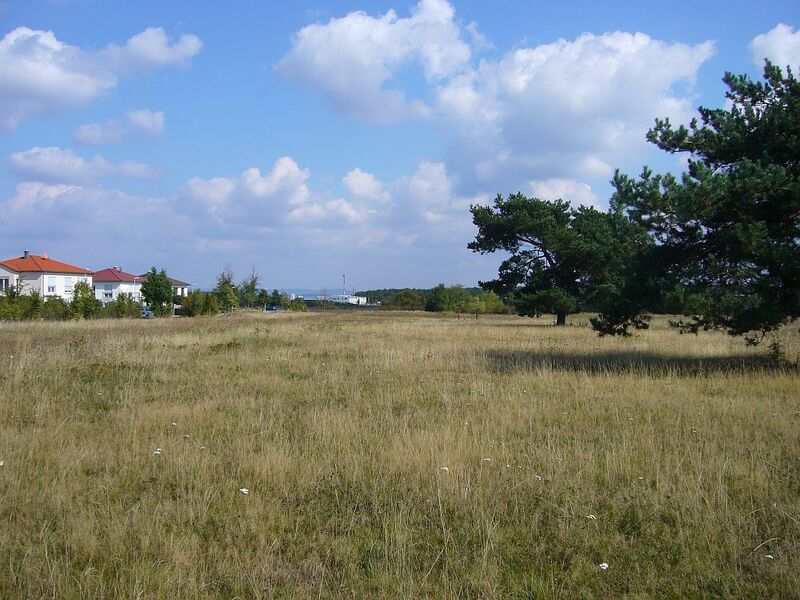 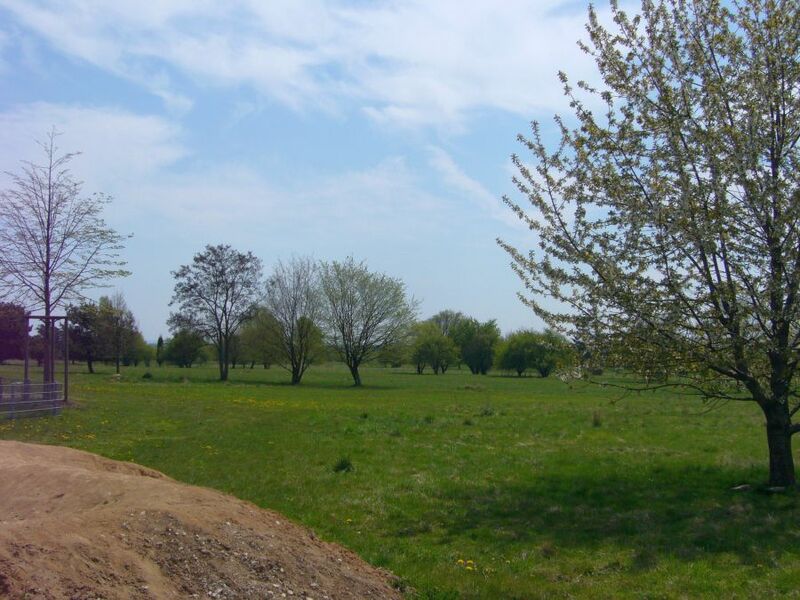 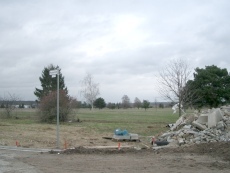 The photos show the former Herz Golf Course at 13 September 2012. 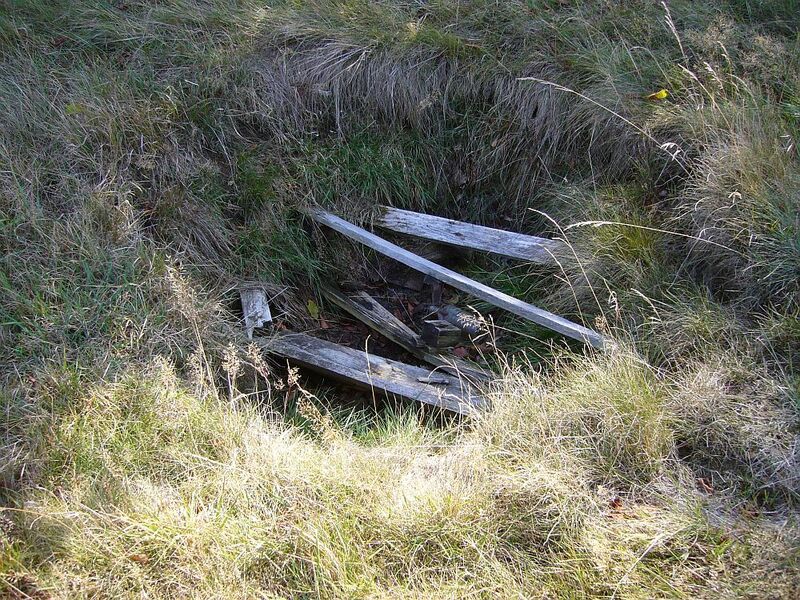 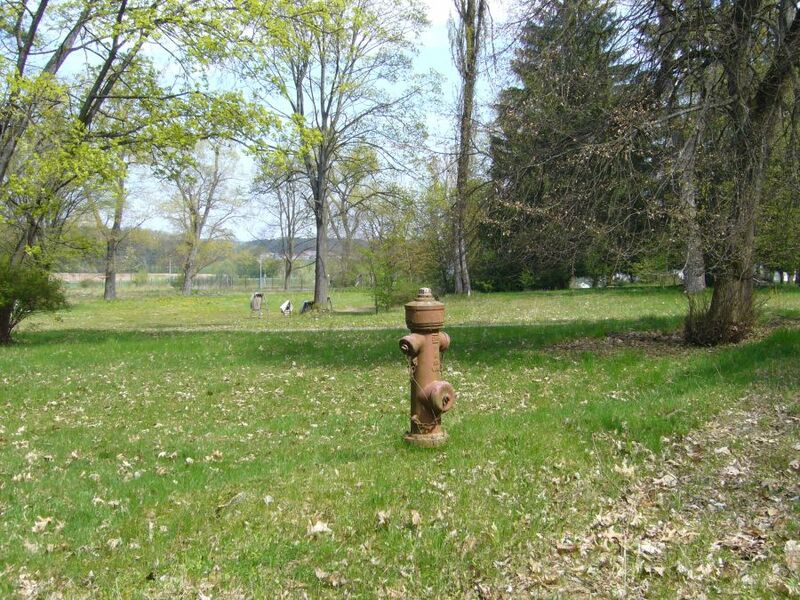 Maybe a former tee box. 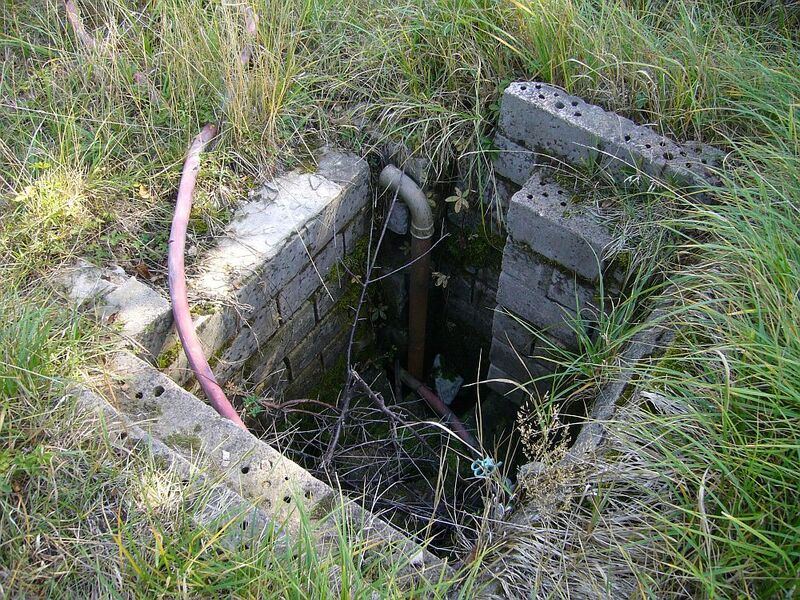 Remains of the irrigation system. 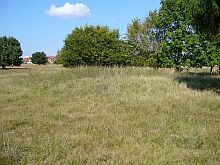 Sand bunker in front of a green. The northern edge of Herzo I. One of the few old buildings left. The brick stones on the left mark the place where the Base gate was standing. Parts inside the Base still look untouched. A combination of old and new buildings. The golf course. 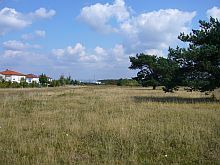 No more bunkers visible, the fairways could be imagined. 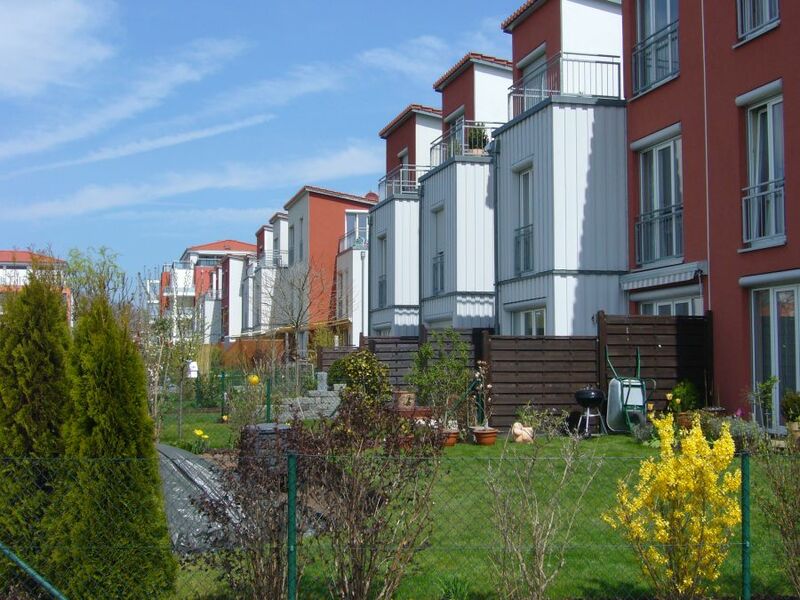 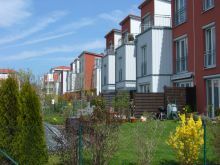 Left of the former golf course is a housing area with different types of houses. 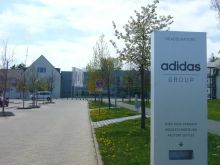 Adidas has captured the western part of the Base, but the buildings seem to be spread very unsystematically. 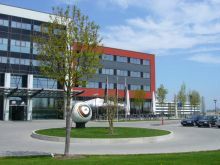 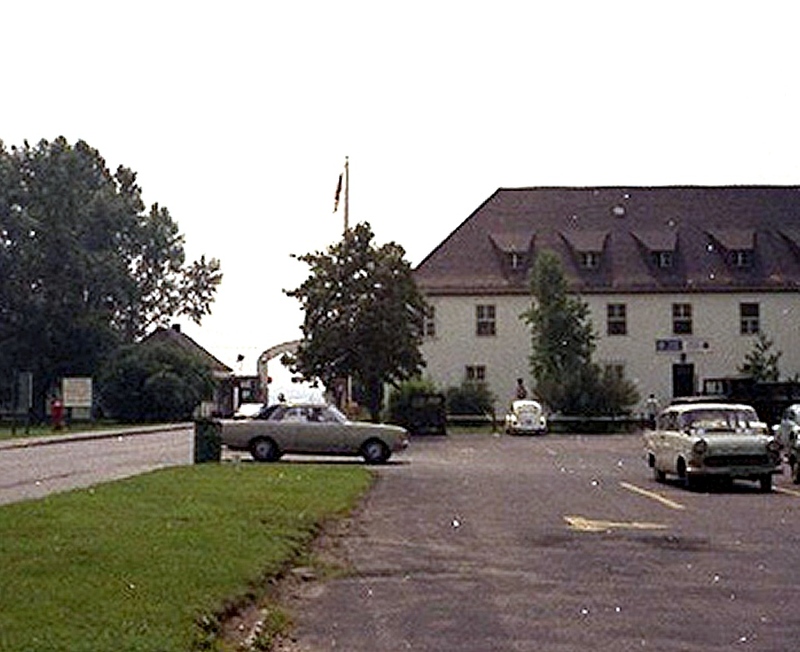 Left: A Ramada Hotel. 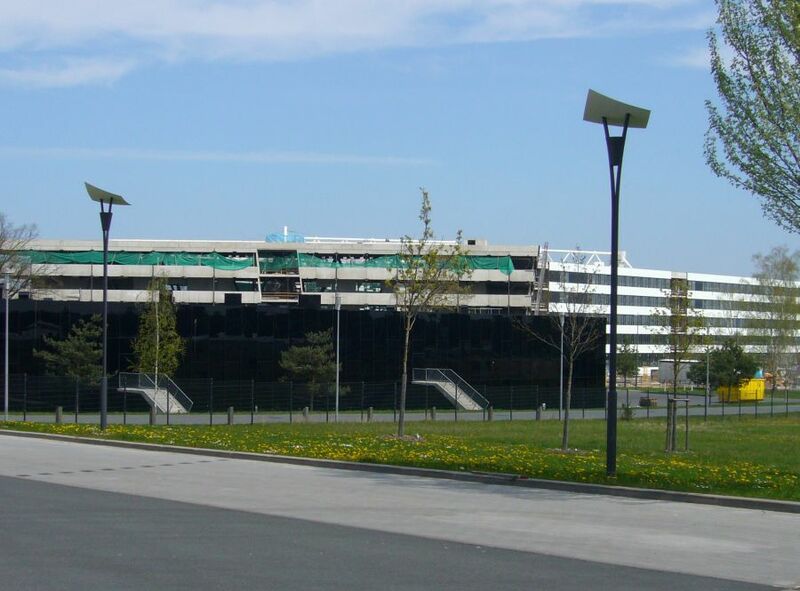 Above a building completely covered with black glass, designated use undefinable. 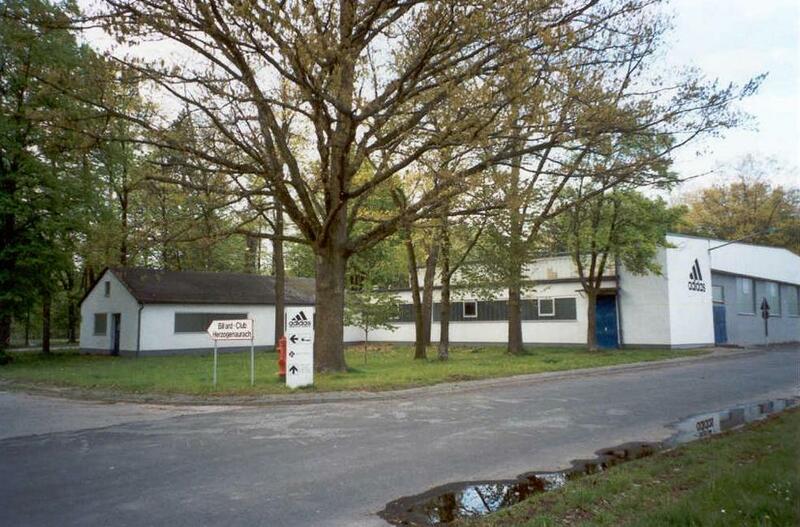 Hundreds of container offices for adidas. 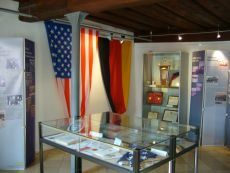 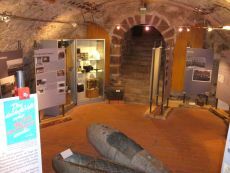 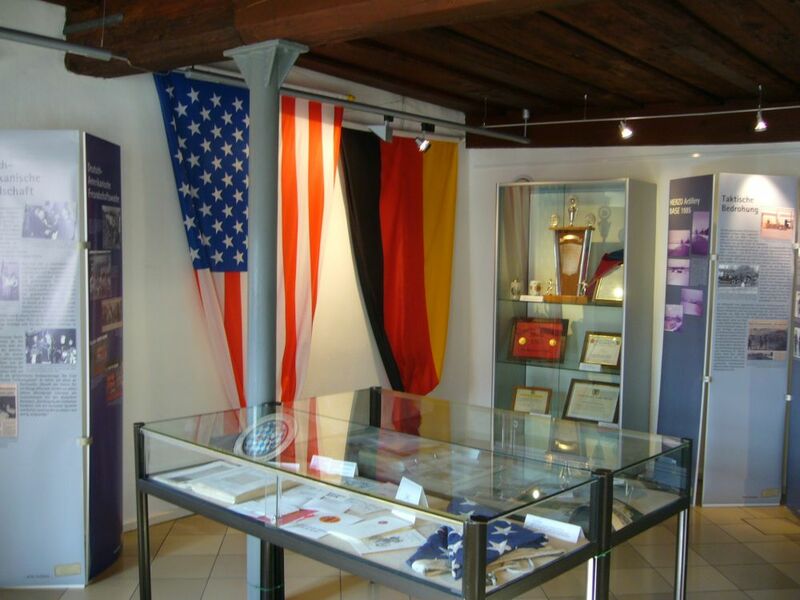 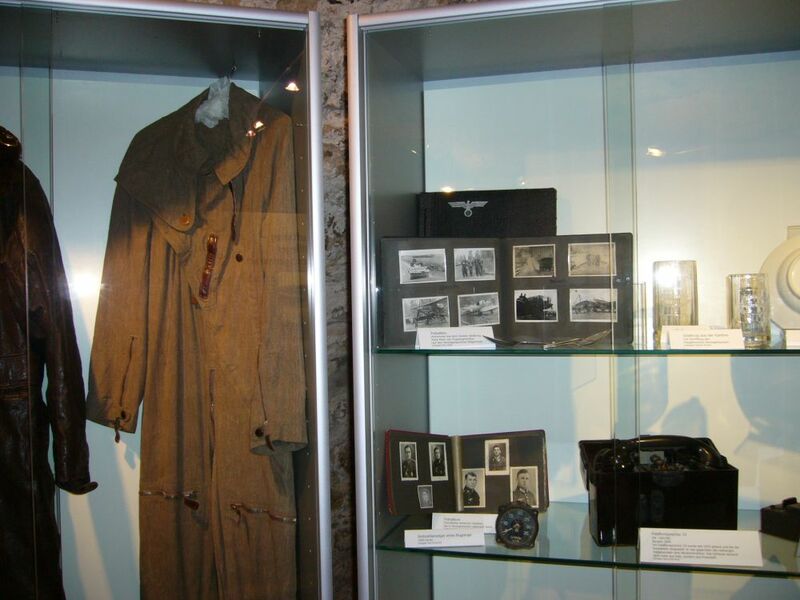 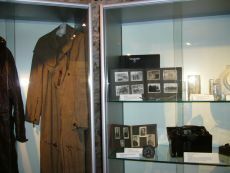 18 October 2007 - Visit in the Stadtmuseum Herzogenaurach with the History of Herzo Base between 1934 and 1992. 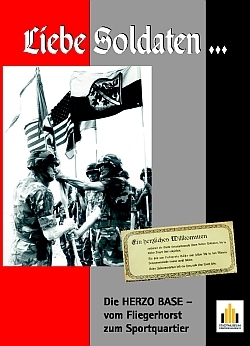 The Booklet above (in German, 42 pages, many pictures, 5 Euro) will be sold out pretty soon. 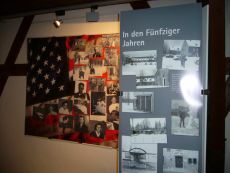 Herzo Base Exhibition Extended Due to public demand, the successful Exhibition currently being held at the Herzogenaurach Town Museum has been extended until December 02, 2007. 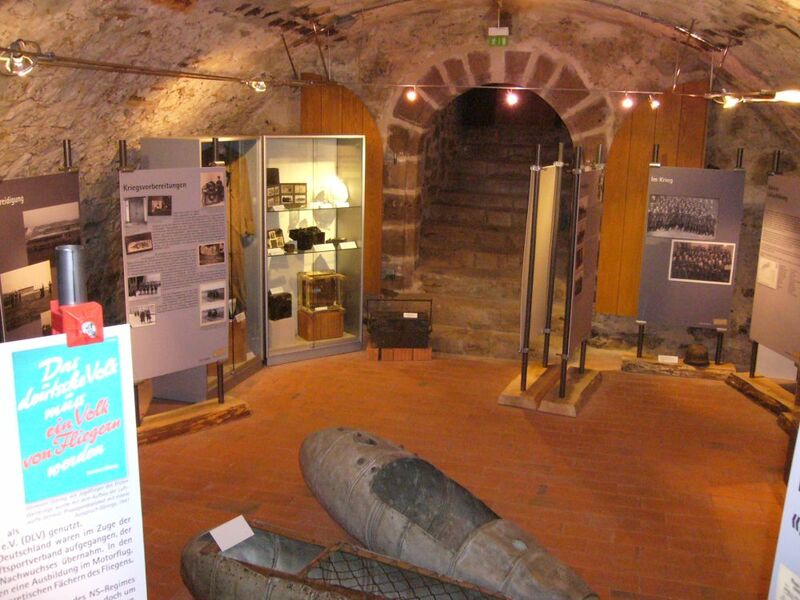 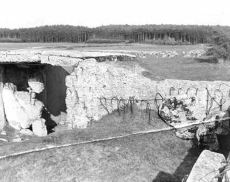 Herzo Base Exhibition "LIEBE SOLDATEN"
In the year 1934 a hill in the north of the small Franconian town of Herzogenaurach was chosen for the construction of a “civil emergency landing ground”. 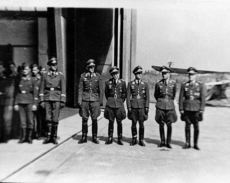 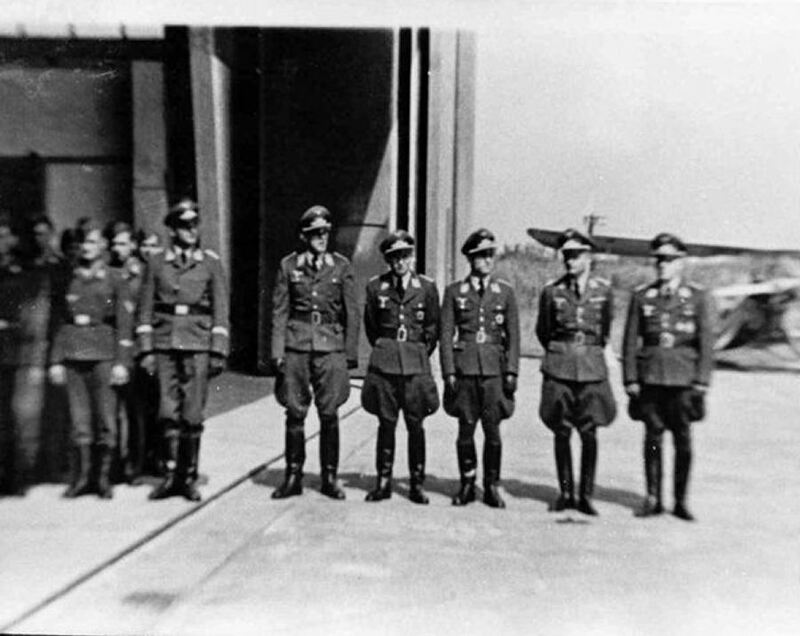 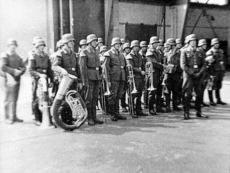 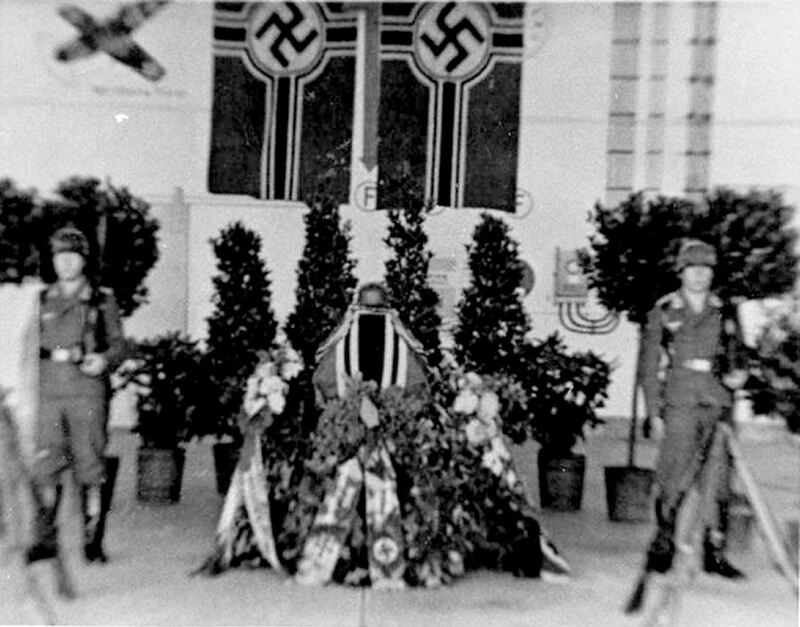 Yet, it soon became obvious, that military facilities for the build-up of the preleminary top secret German air forces came into existence. 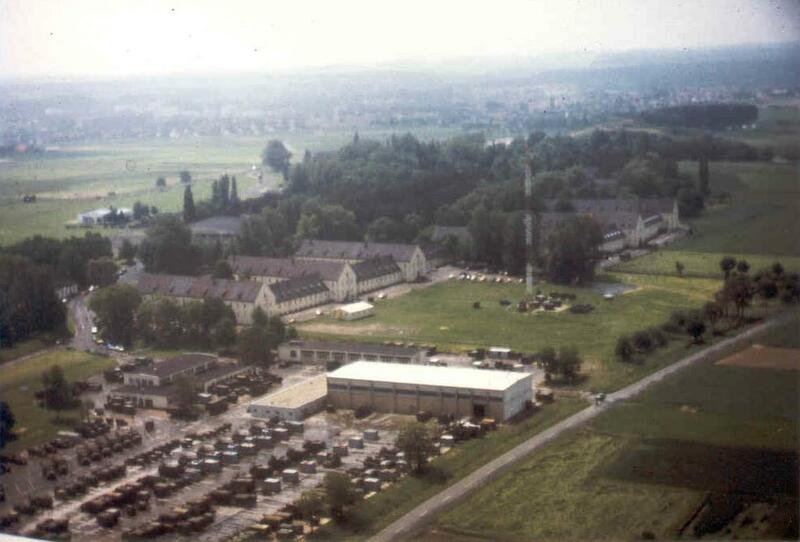 After the breakdown of the NS dictatorship, the American Forces took over the military base and transformed it to one of the most important reconaissance stations in Europe. 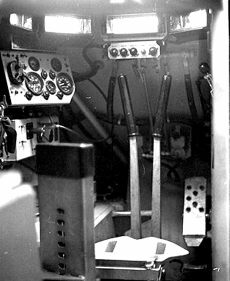 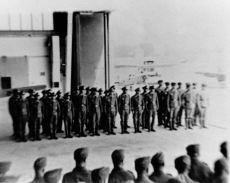 Due to the global winds of change, the deployment of ground troops with atomic carrier systems was considered necessary. 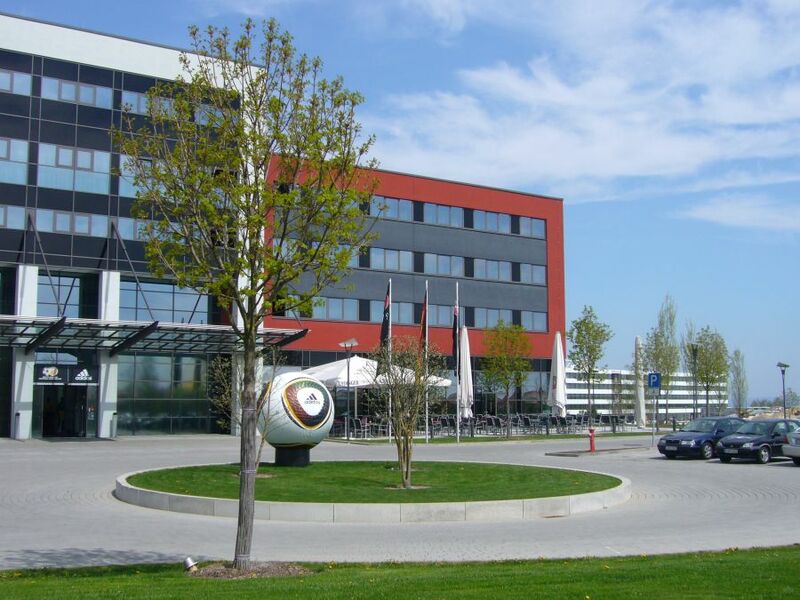 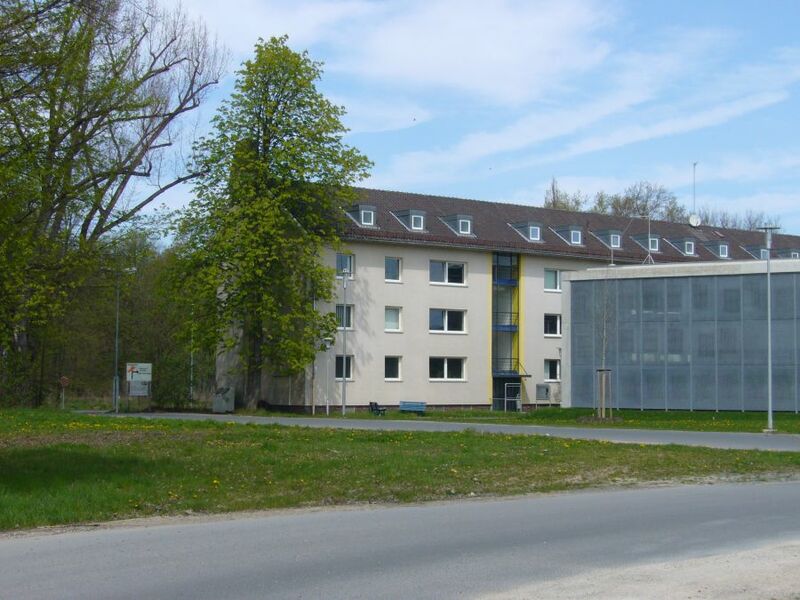 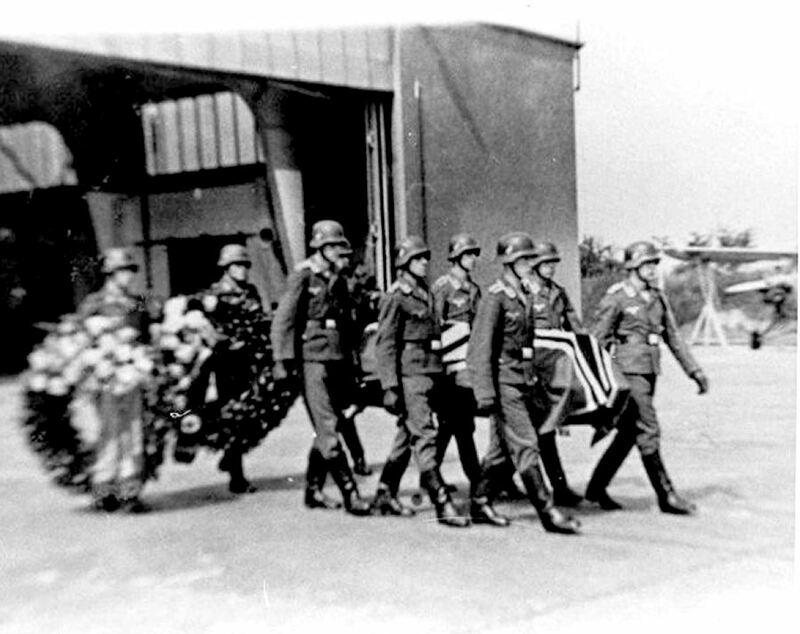 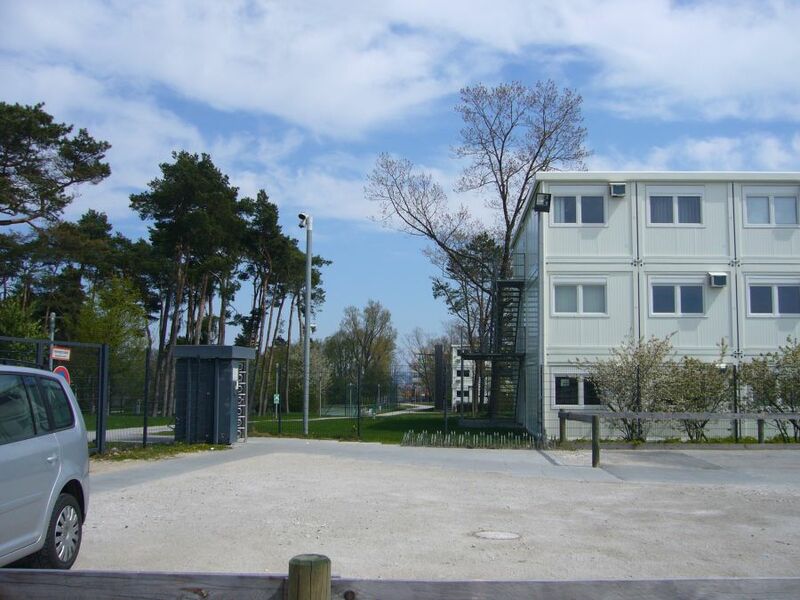 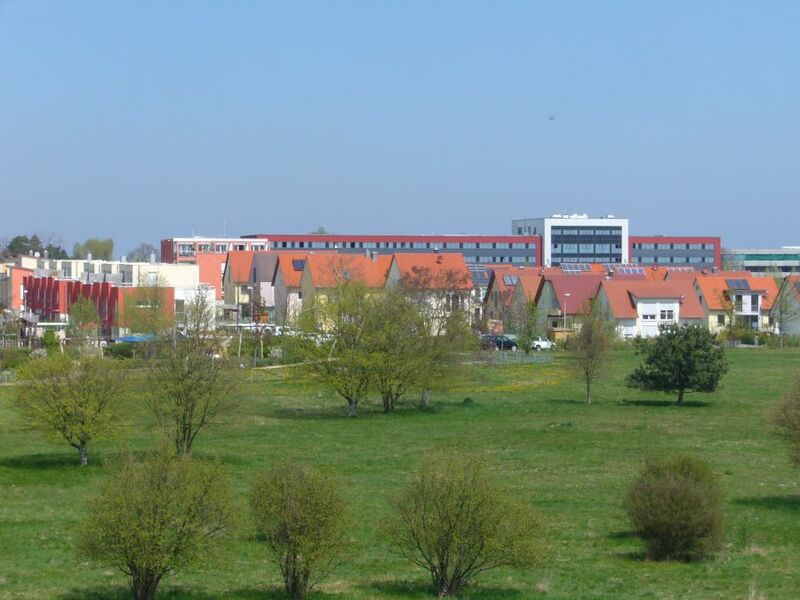 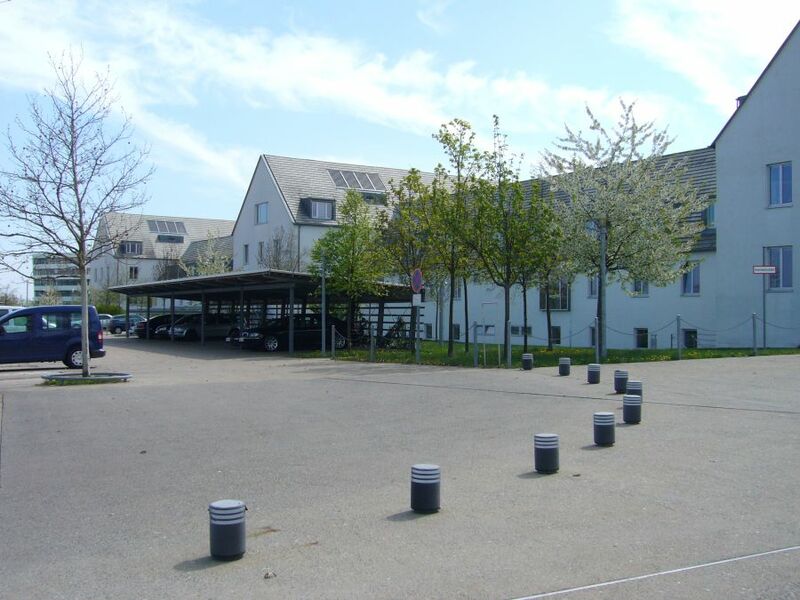 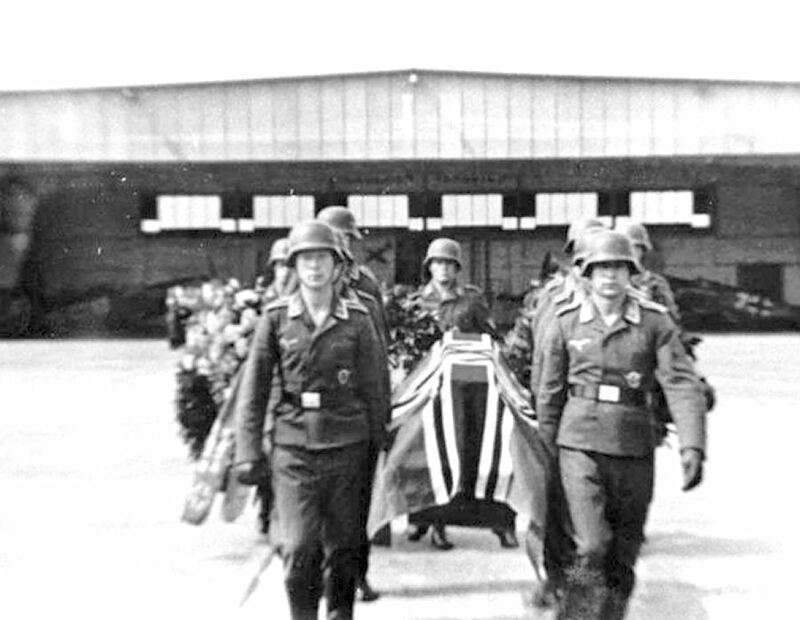 This chapter of the town history of Herzogenaurach came to an end with the withdrawal of the last American artillery brigade in the year 1992. 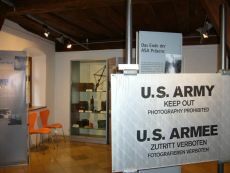 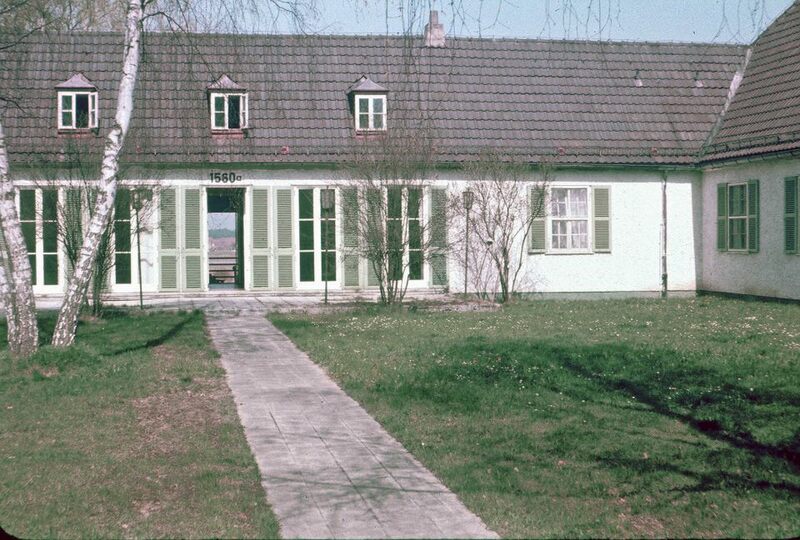 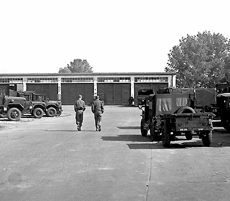 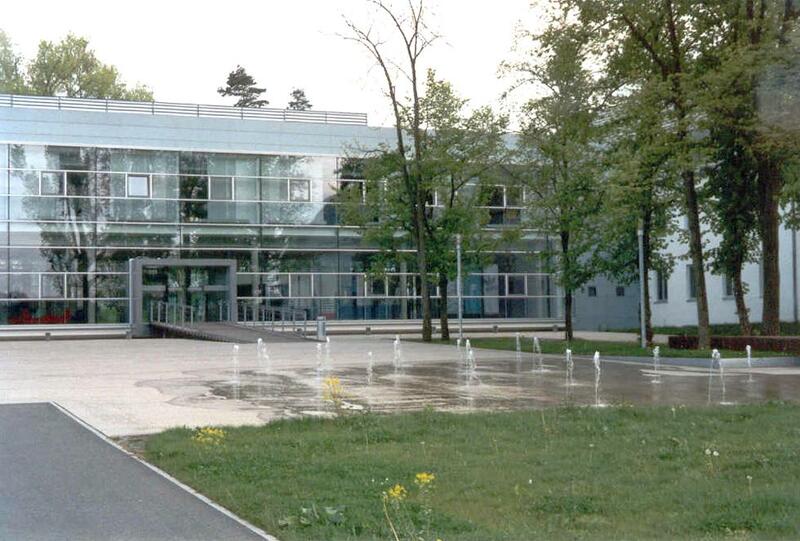 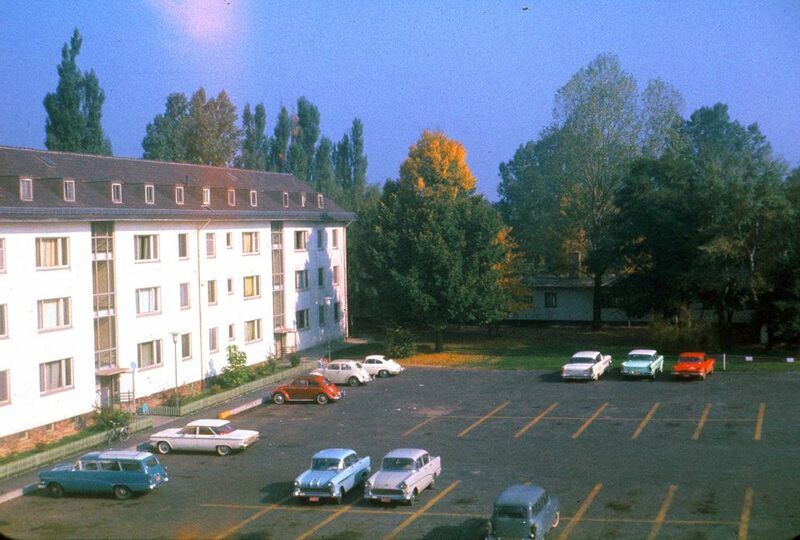 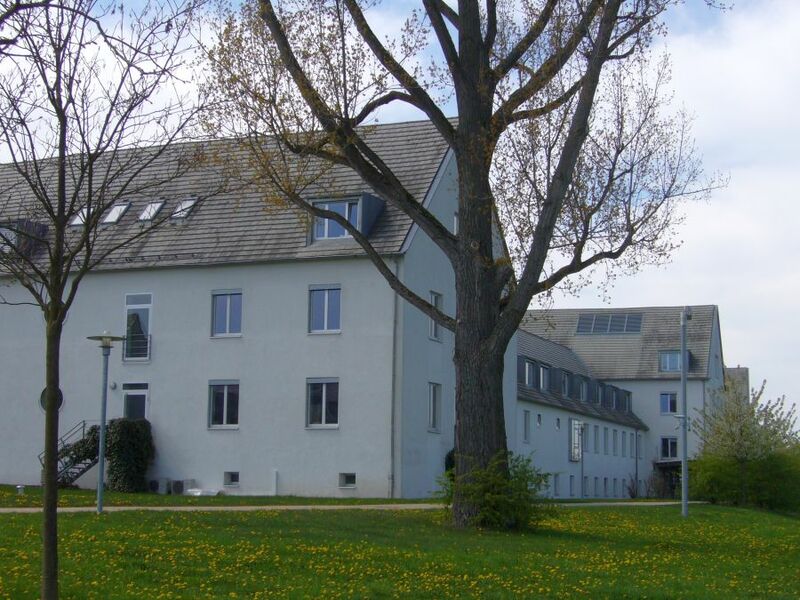 An exhibition at the town museum in Herzogenaurach now shows the history of an area, which has been insulated from the population for decades and which only rarely permitted insights into the plans of the armed forces strategists. 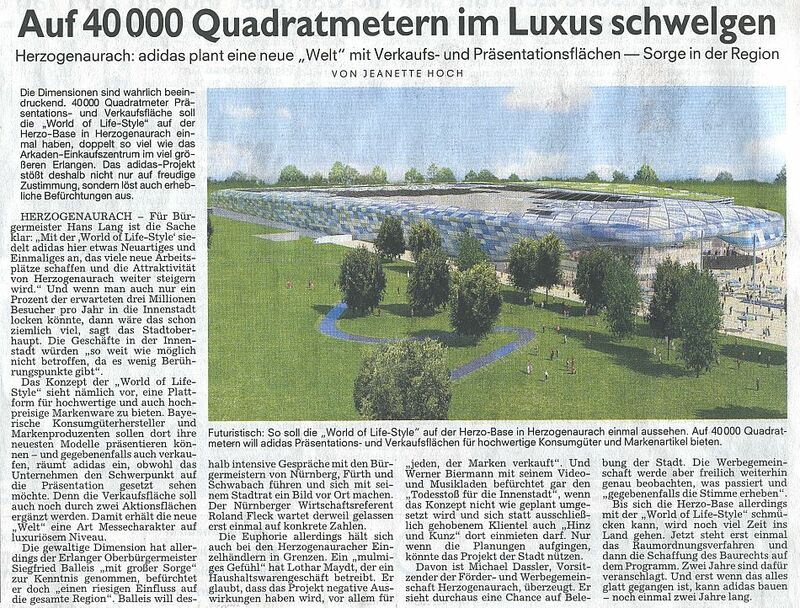 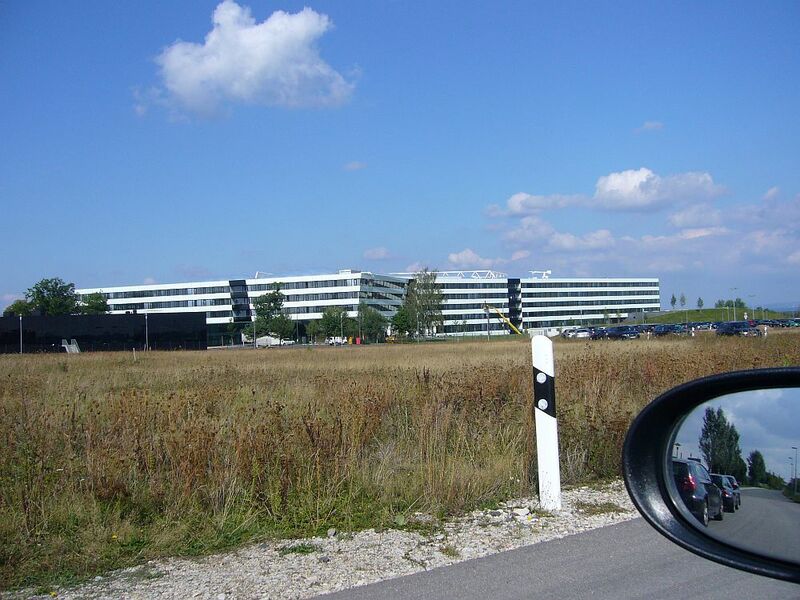 adidas plans a huge shopping center at the old Herzo Base (see "Fürther Nachrichten" from 17 May 2006). 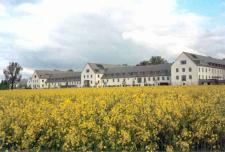 The "World of Life-Style" shall become a display for quality and luxury brands. 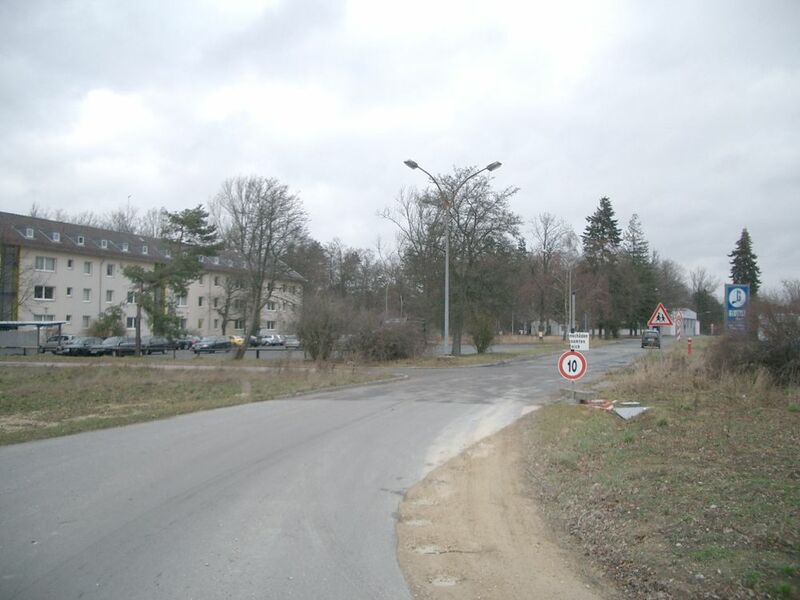 The lory mayor of Erlangen instead isn't very responsive because of possibly loosing customers there. 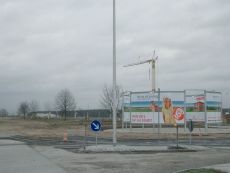 The opening will not be before 2010. 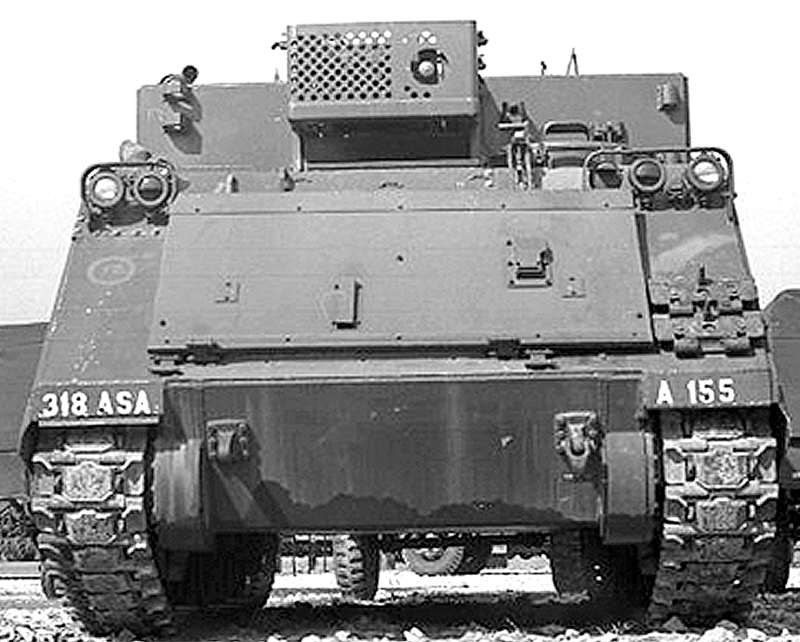 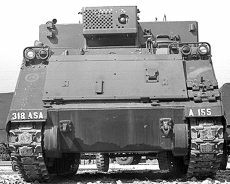 Left: Plan from the US-Army. 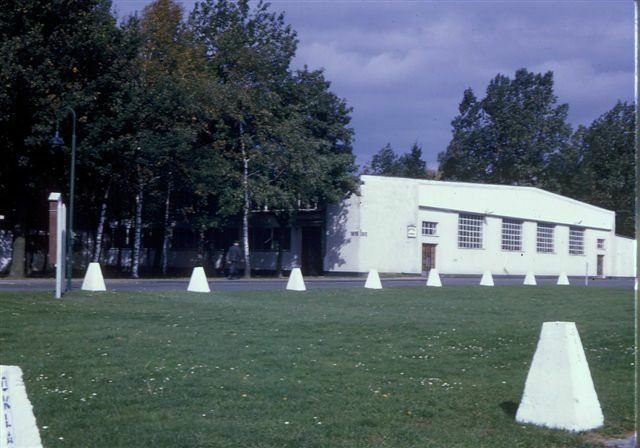 The installation was originally designed as an airfield by a French architect and constructed by the Deutsche Reich (Air Force), named Deutsche Fliegerschule (German pilot school). 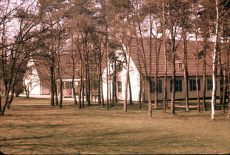 Initially, the post was limited in its use as a Hitler youth training school due to limitations imposed by the Versailles Treaty after WW I. However, fighter pilots soon began training in civilian clothing. 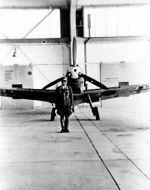 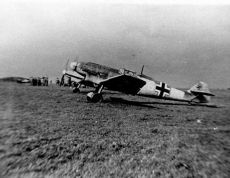 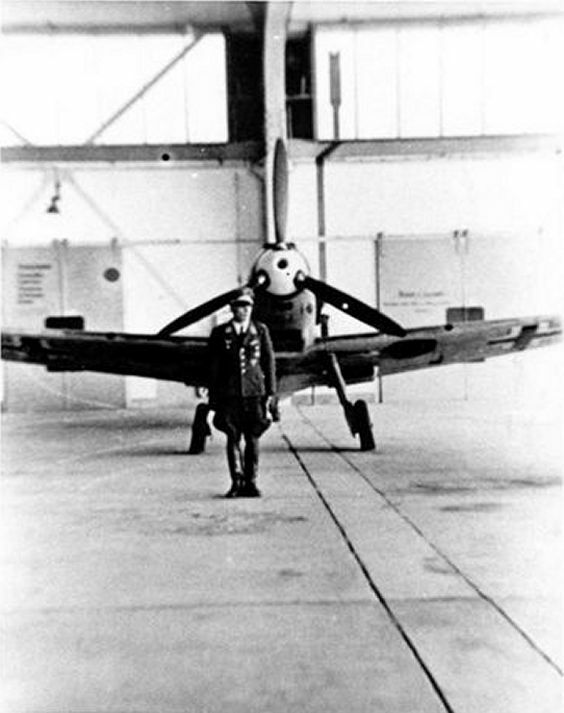 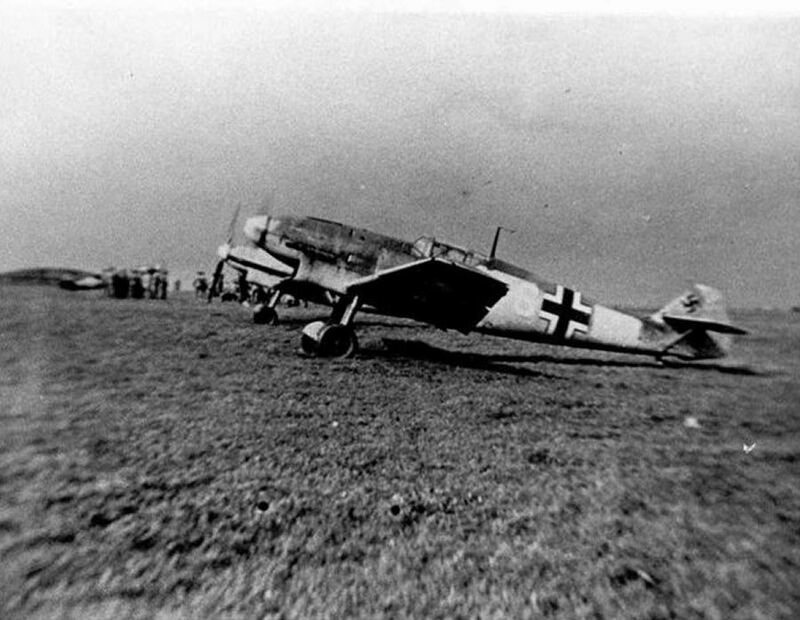 In March 1936, the Luftwaffe took official control. 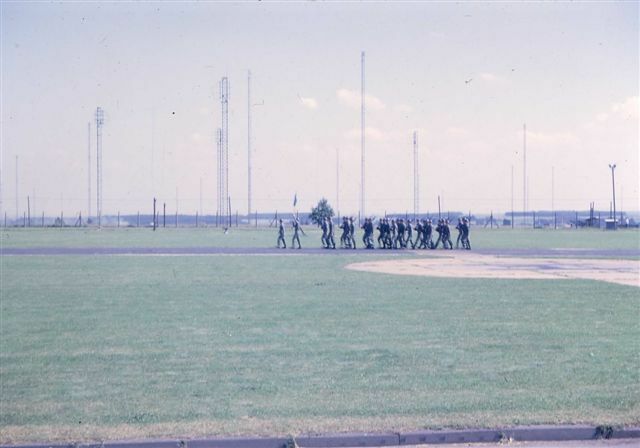 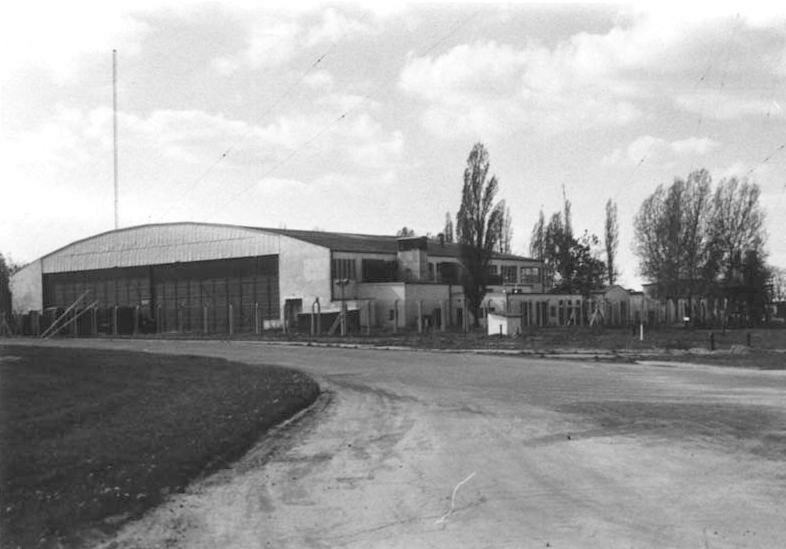 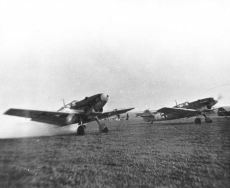 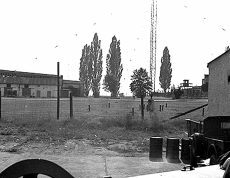 The airfield was mainly used as a fueling point for aircraft providing aircover for the march into Austria and Czechoslovakia. 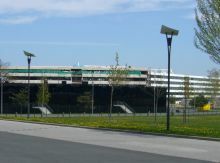 On 9 November of each year, planes took off from the airfield to fly over the party rallies staged at Zeppelinwiese (Soldier's Field) in Nuernberg. 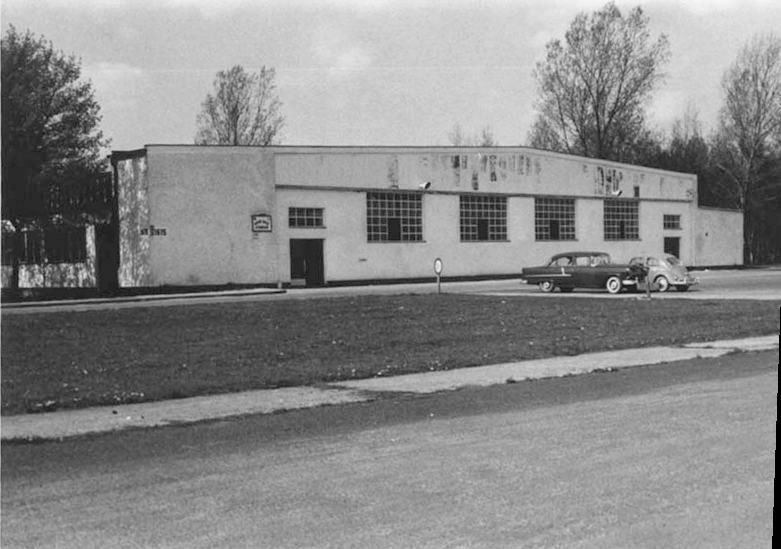 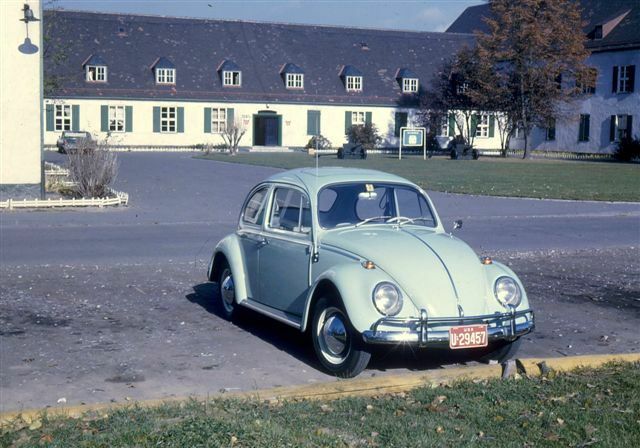 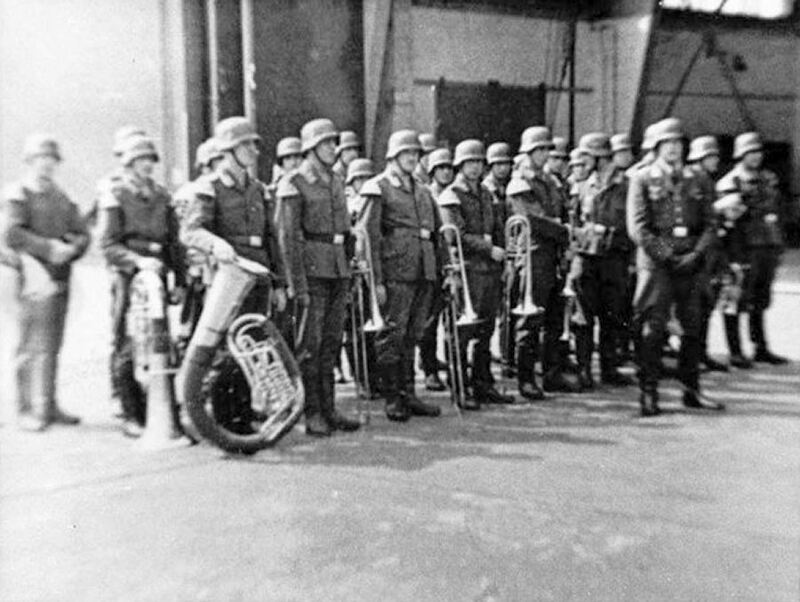 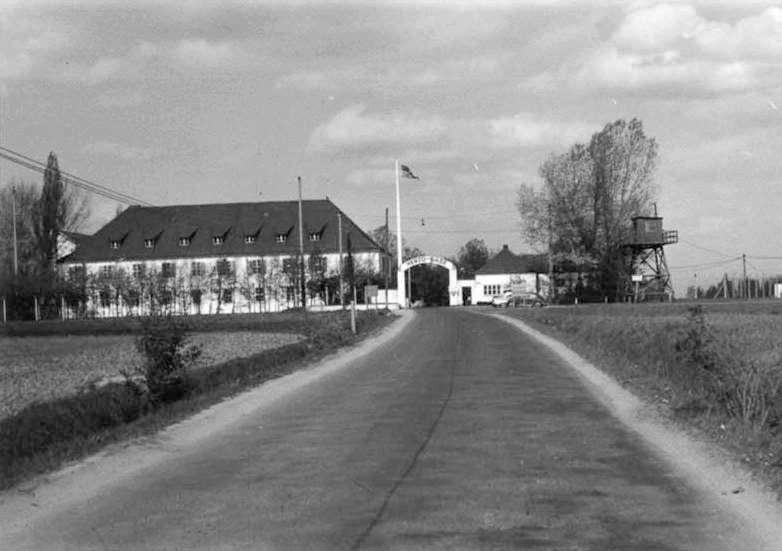 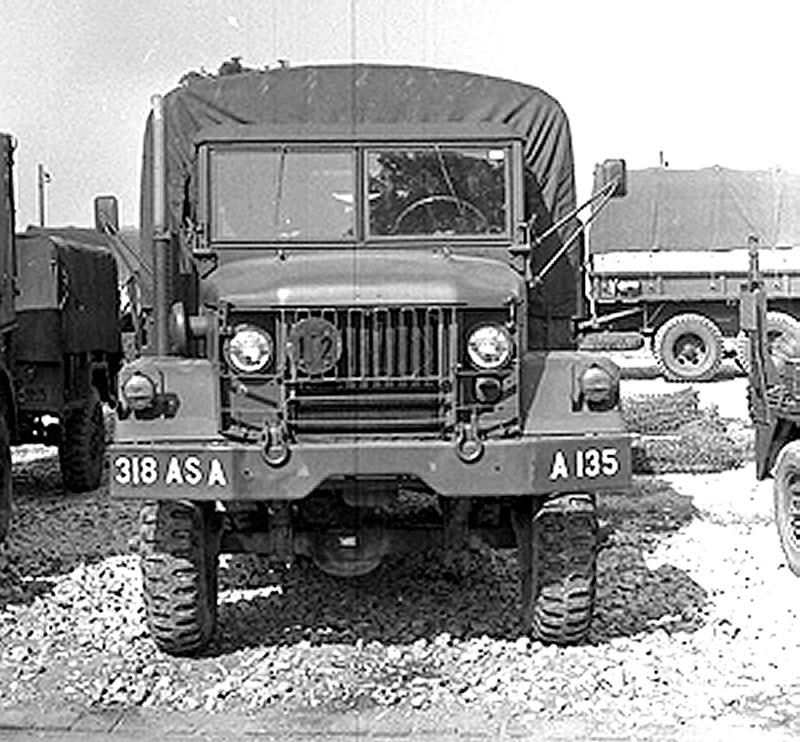 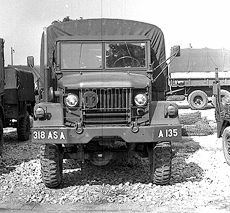 The U.S. Army confiscated the base in April 1945 and it was first occupied by a transportation unit followed by a detachment of the 84th U.S. 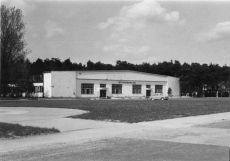 Fighter Wing. 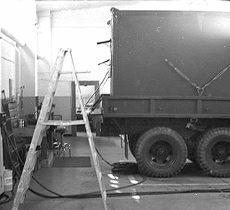 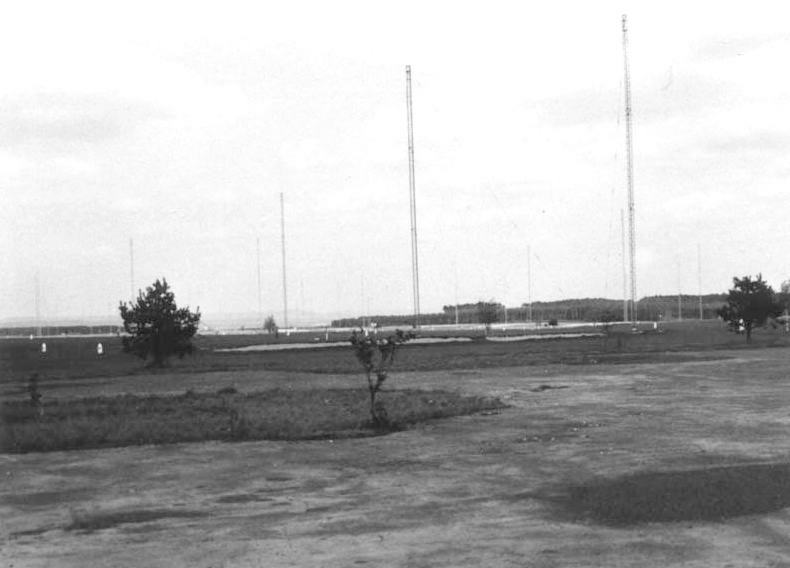 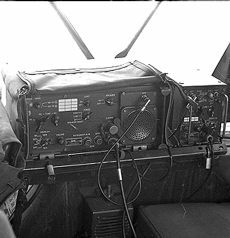 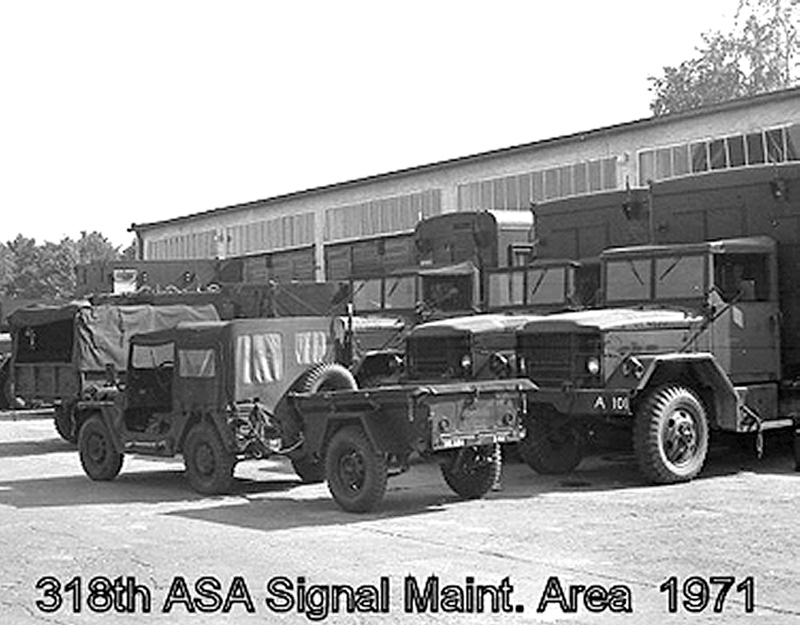 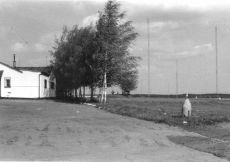 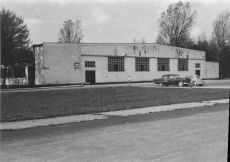 In May 1946, the 2nd Radio Corps took over the installation. 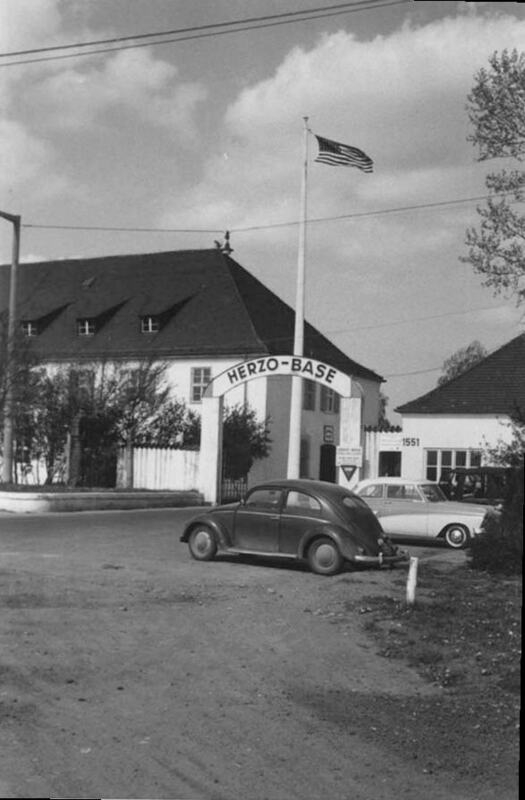 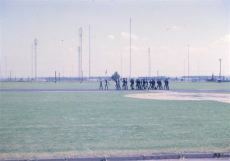 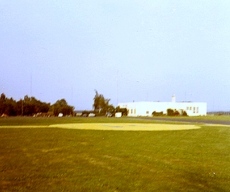 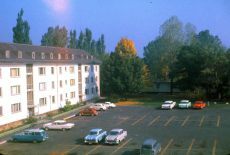 In 1947 the base was occupied by the U.S. Army security Agency up until 1971, when it was replaced by the 210th Field Artillery Group which occupied Herzo Base until 1992. 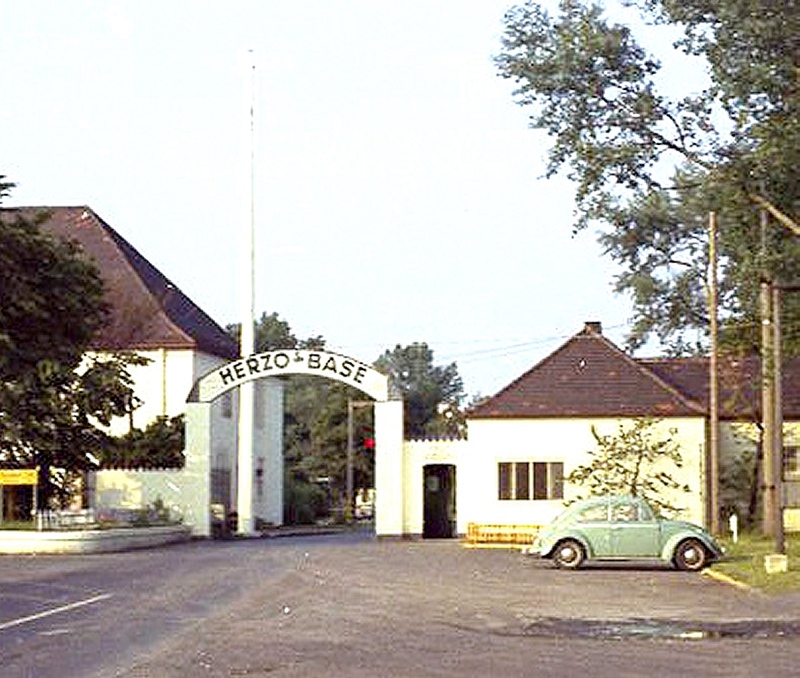 Then Herzo Base was included in the base closure plan. On 4 August 1992, the installation was officially returned to the German Government. 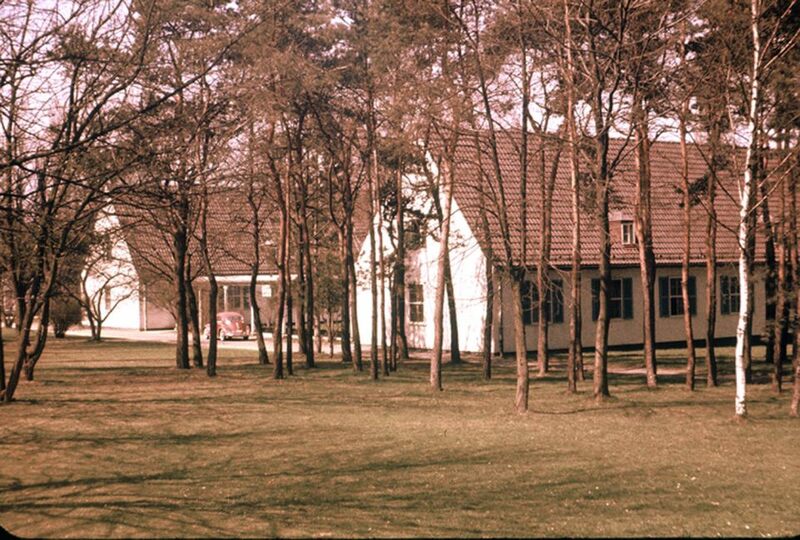 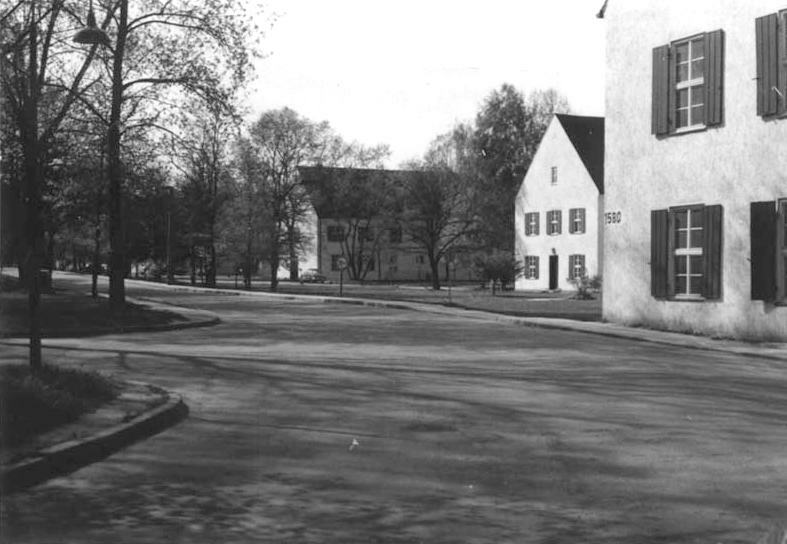 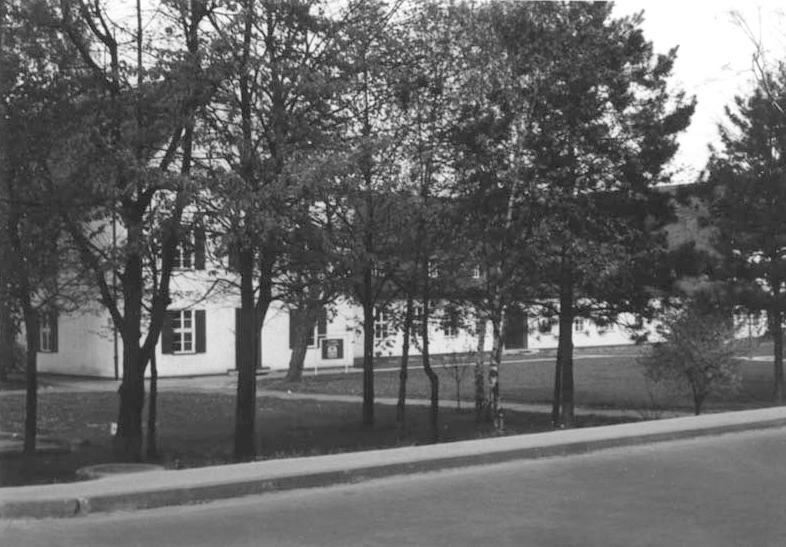 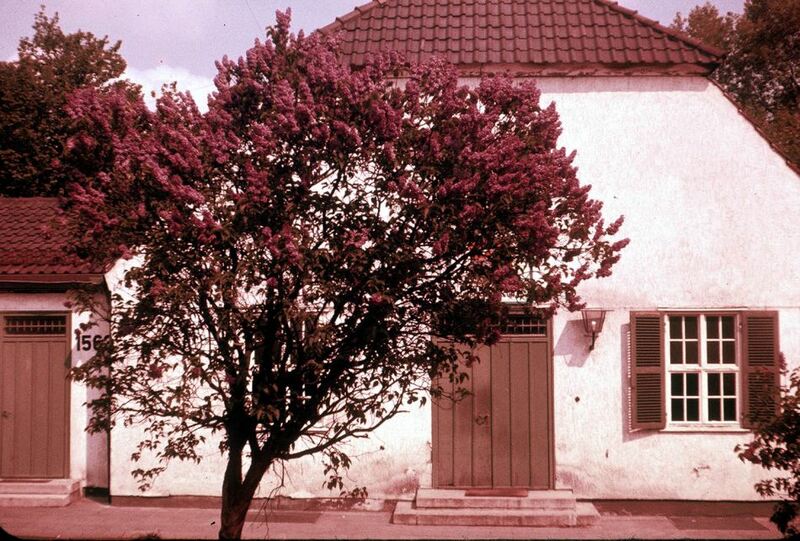 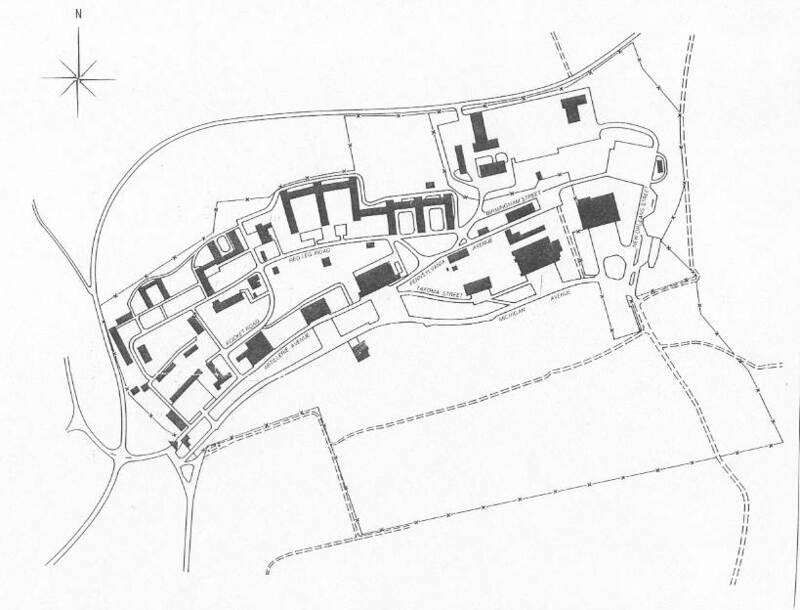 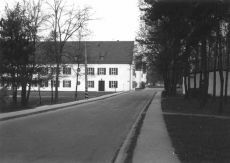 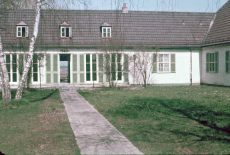 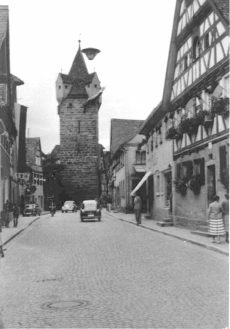 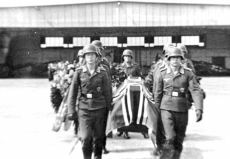 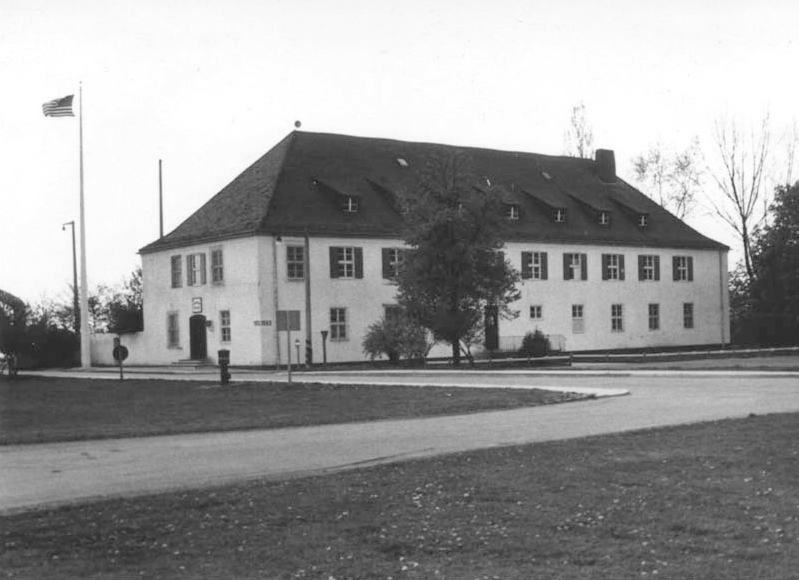 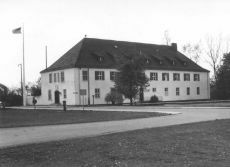 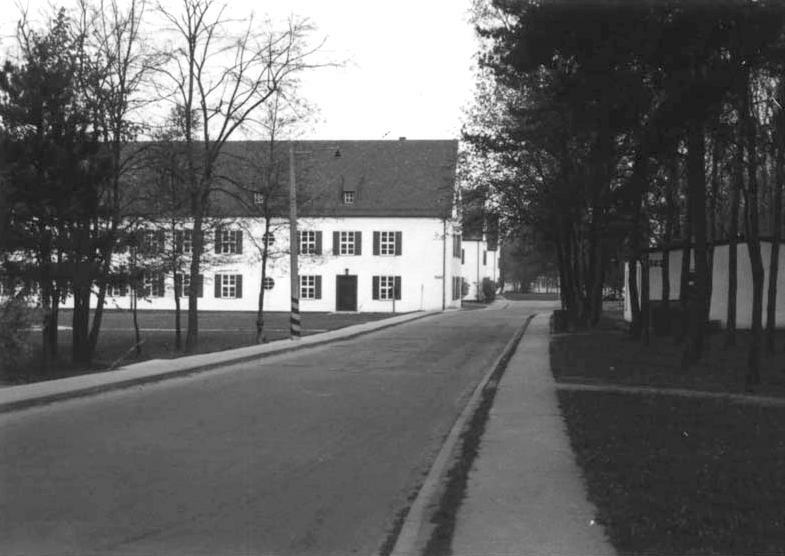 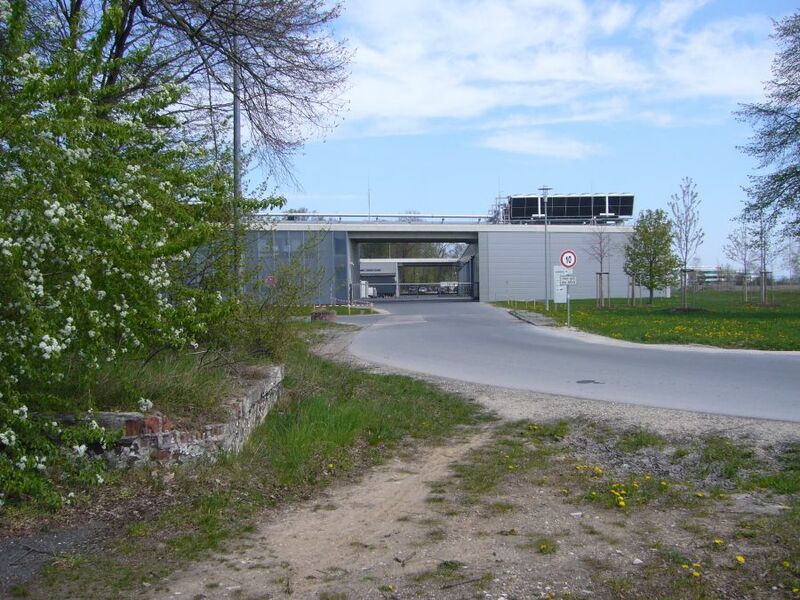 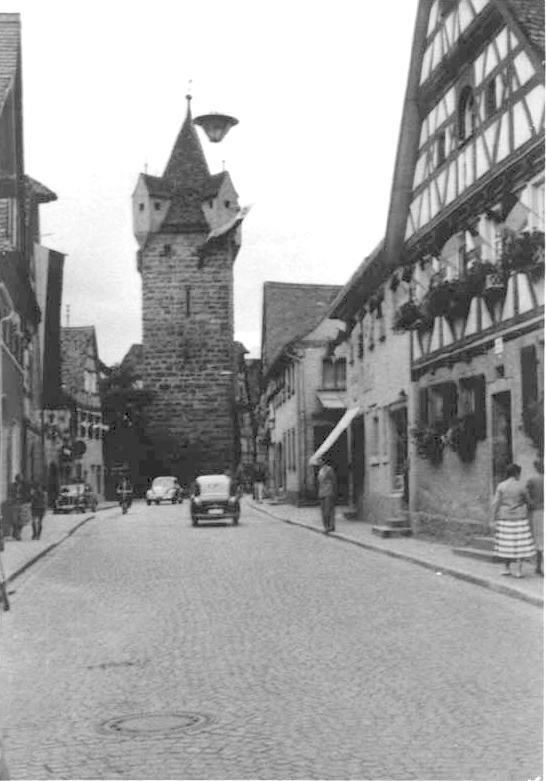 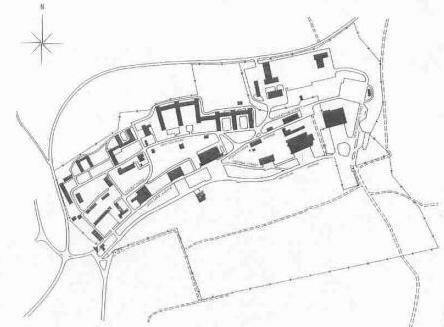 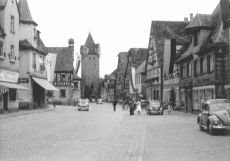 A link to the history of Herzogenaurach (and the base) between 1919 and 1945, discovered by Dr. John Caruso Jr. 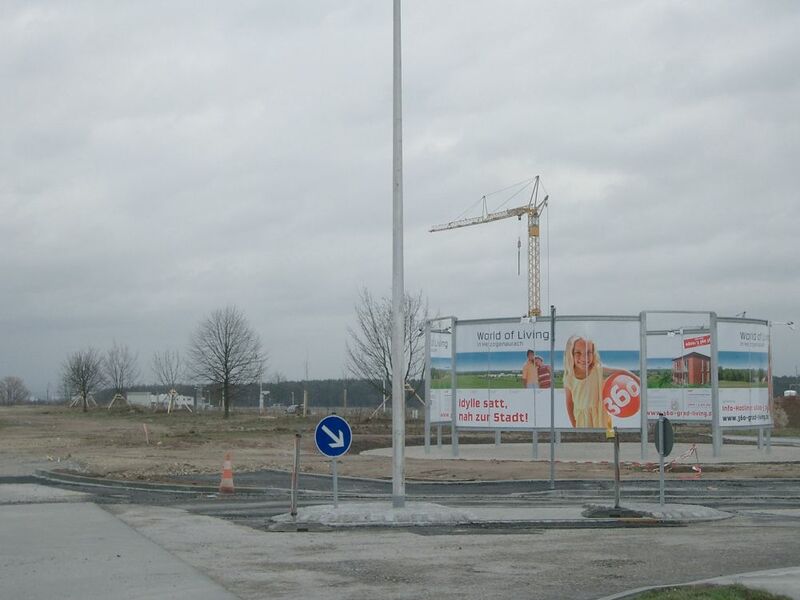 The sky was very cloudy, so the photos aren't very nice. 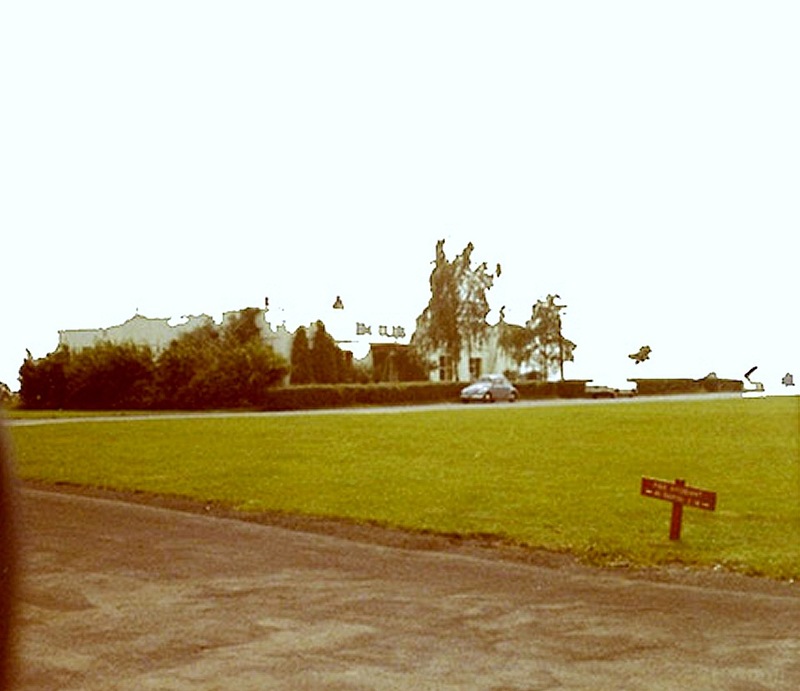 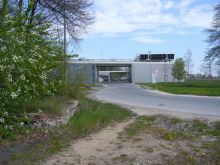 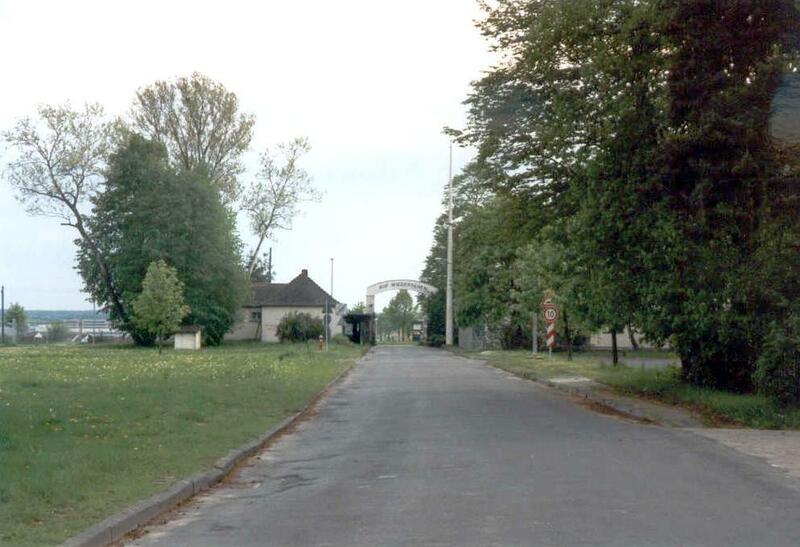 The entrance gate is gone (left). On the former golf course a housing are is under construction (in the middle). 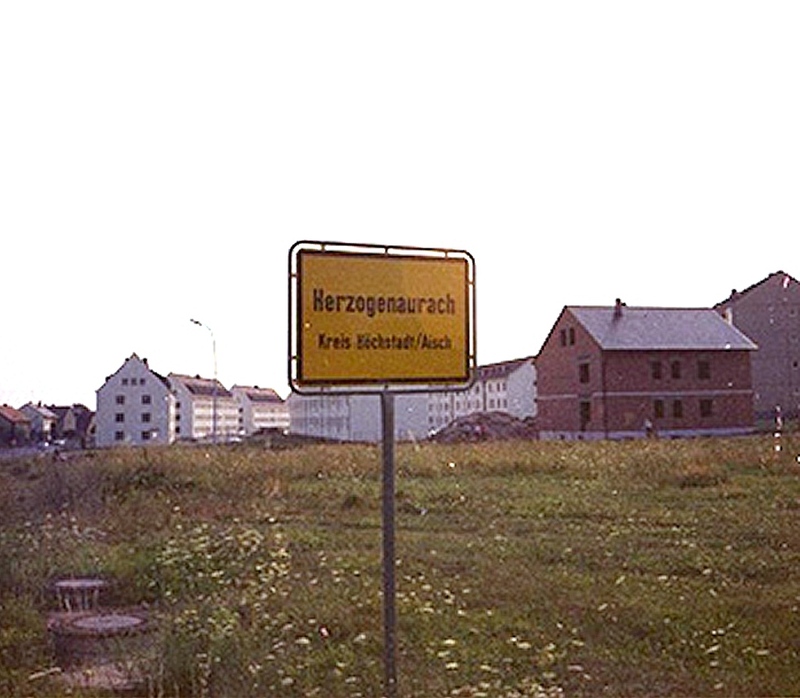 The roads on this housing area are named after cities who hosted Olympic Games. 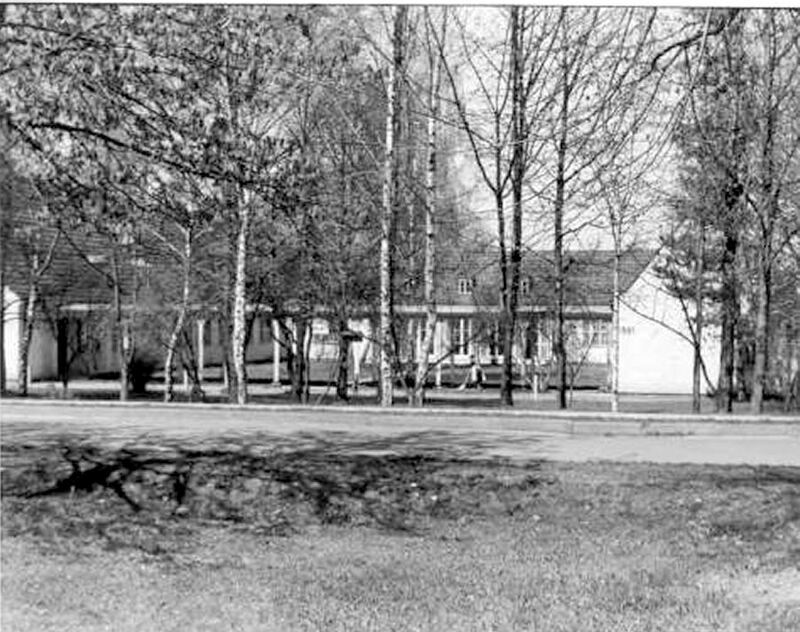 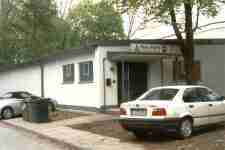 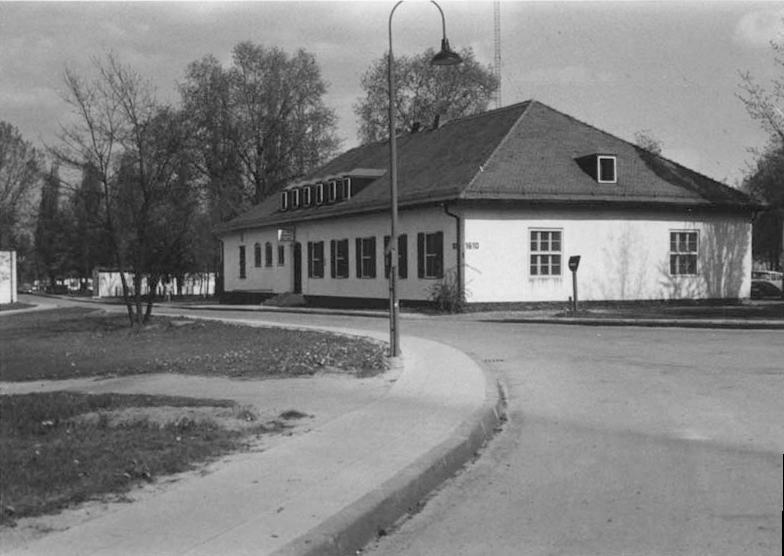 So you have the Moskow Road near the last reminders of the club house (right). 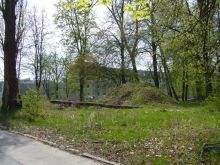 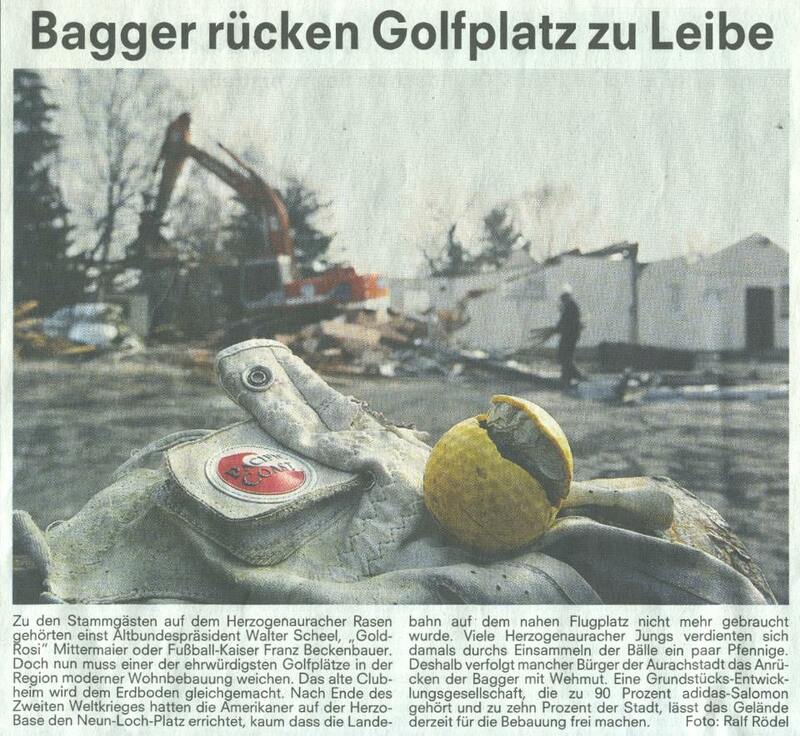 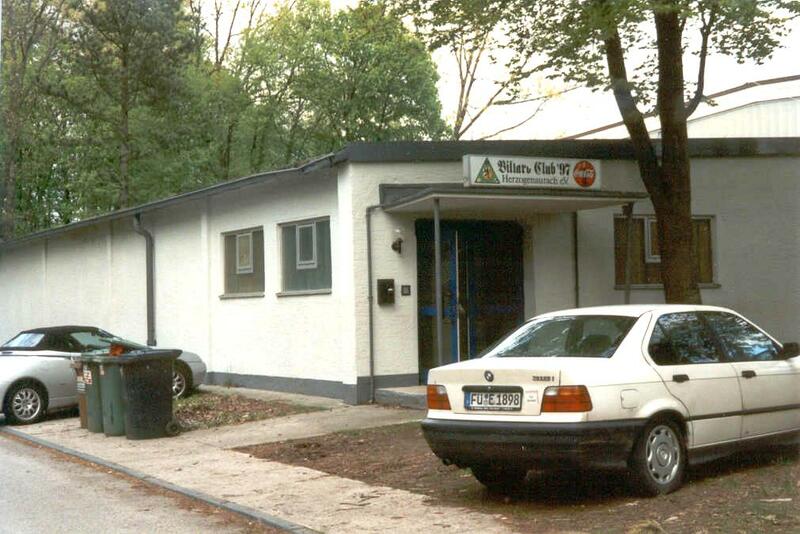 One of the oldest golf courses in the region is levelled and uses for buildings ("Fuerther Nachrichten" from 5 March 2004). 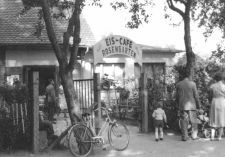 My name is Elke Becker. 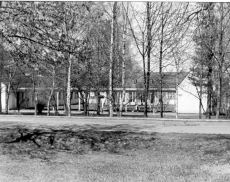 I was born at December the 22nd in 1959. 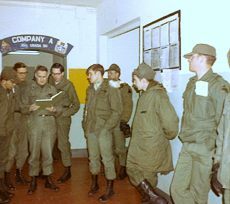 I am 44 years old and about 20 years ago I was told that my father must be an American soldier by the name of John Clark. 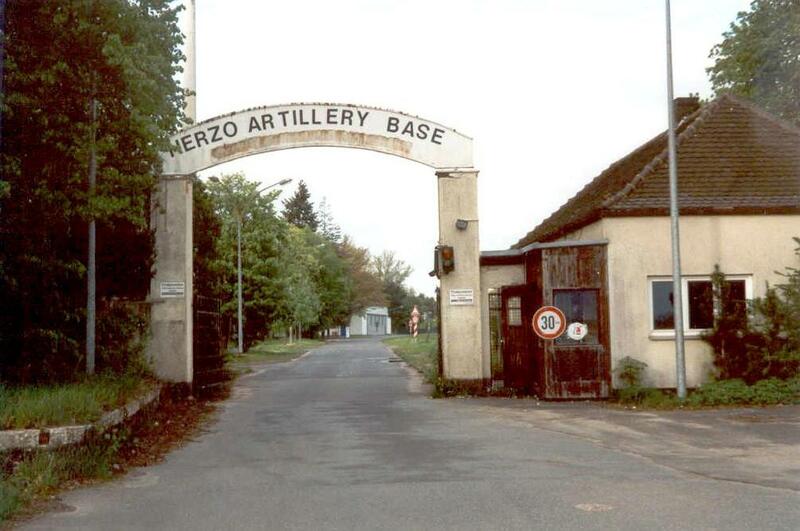 He probably was stationed in Herzo Base near Nuernberg. At that time my mother's name was Helga Schmidt. 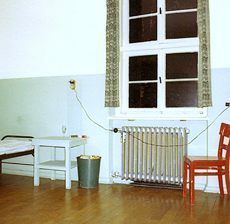 The wish to get to know my father is not based on financial aspects. 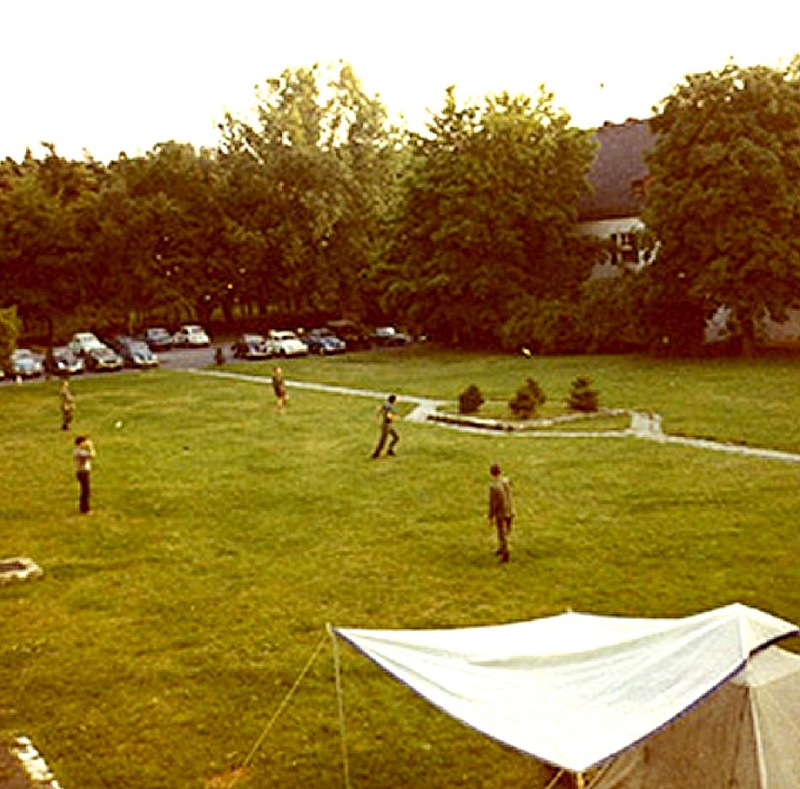 Looking at my age you can trust me, that this would be ridiculous. 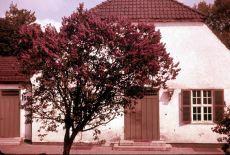 The only motive of contacting him is the desire to know my roots! 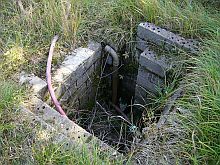 I am sure you can understand this. 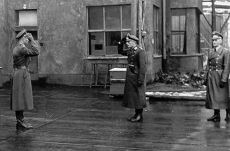 If you could help me along in any way, I would be much obliged! 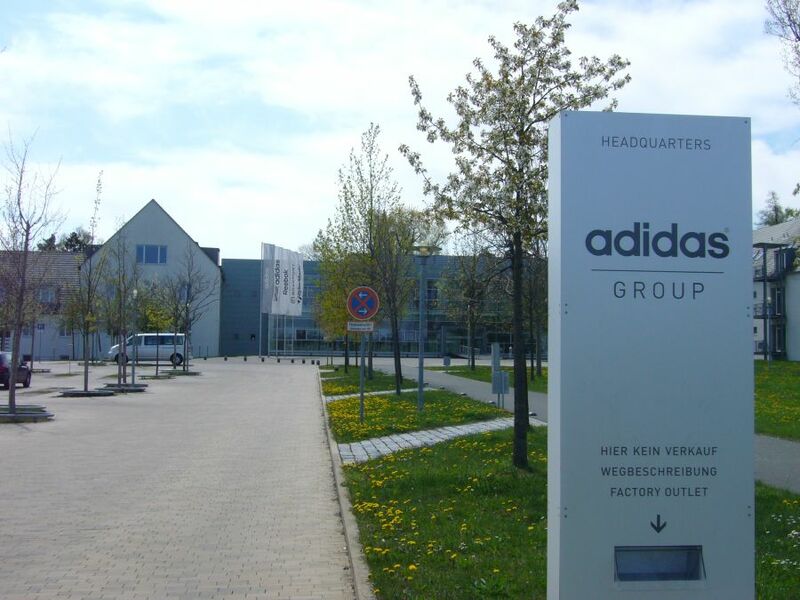 The adidas Company has overtaken at least parts of Herzo base. 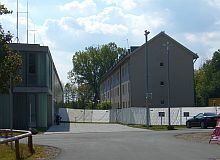 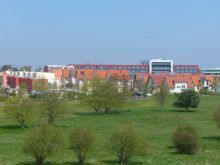 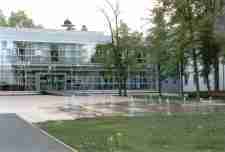 The two E-shaped buildings (one on the far right) were connected by a modern glass construction (right). 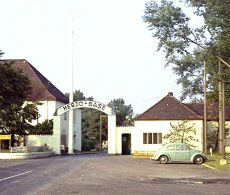 All these pictures were taken on 5 May 2002. Link to Tim Seaman's homepage: "I was stationed at Herzo Base from 1984-1986. 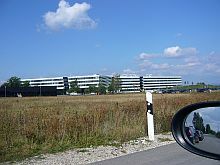 I have posted over 100 pictures from my time there. They are personal pictures in and around the barracks, motorpool and other places." 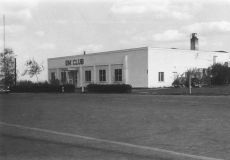 Pictures from the Fifties rom Tim Seaman (originally from Russ ???). 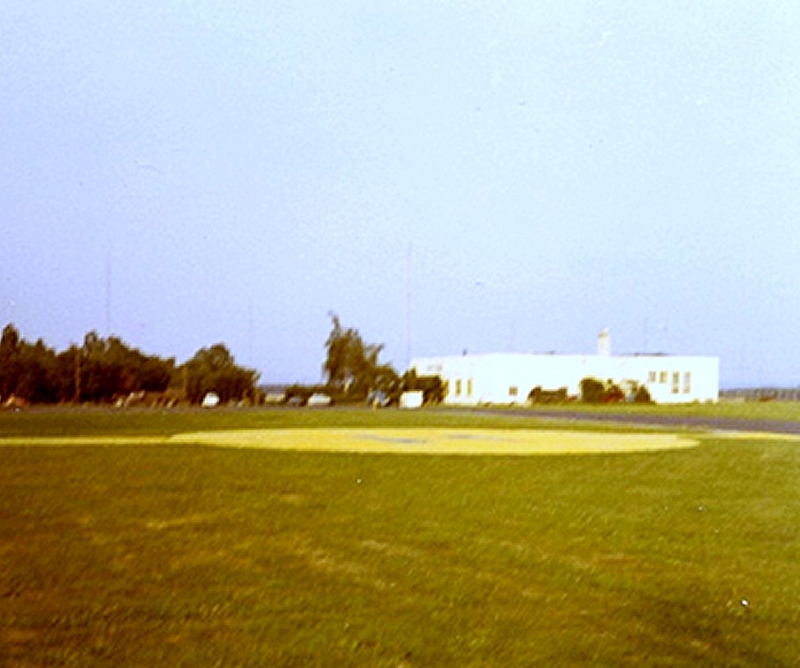 Right: Here is the BOQ circa 1965. Look closely Harry and you can see our Putzfrau - Frau Uhl sweeping the sidewalk. Right: For whatever reason I took this picture of those underground bunkers we were always warned not enter behind the firing range or some part of the back facility? 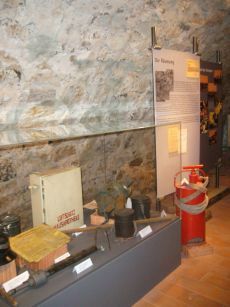 Some of the EM explored the tunnels/bunkers but it was strictly Verboten as it was a dangerous place. 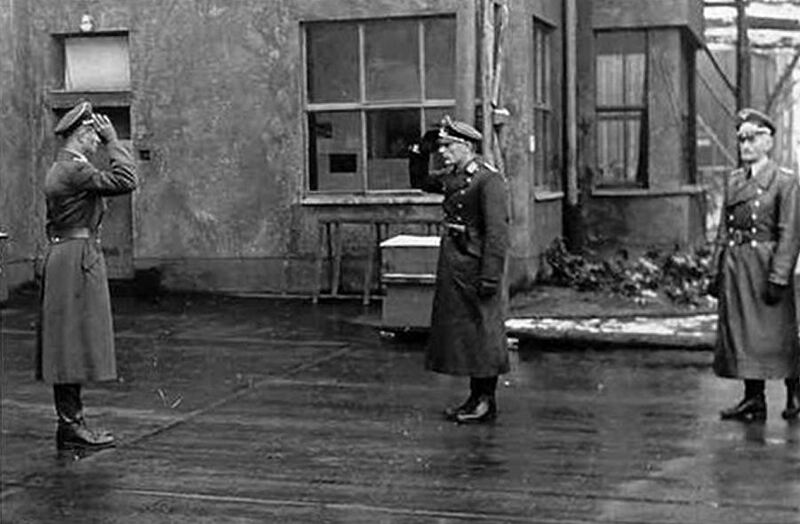 Left: Oberst Klenk who was CO at Herzo and the model for Colonel Klink in the TV series Hogan's Heroes.